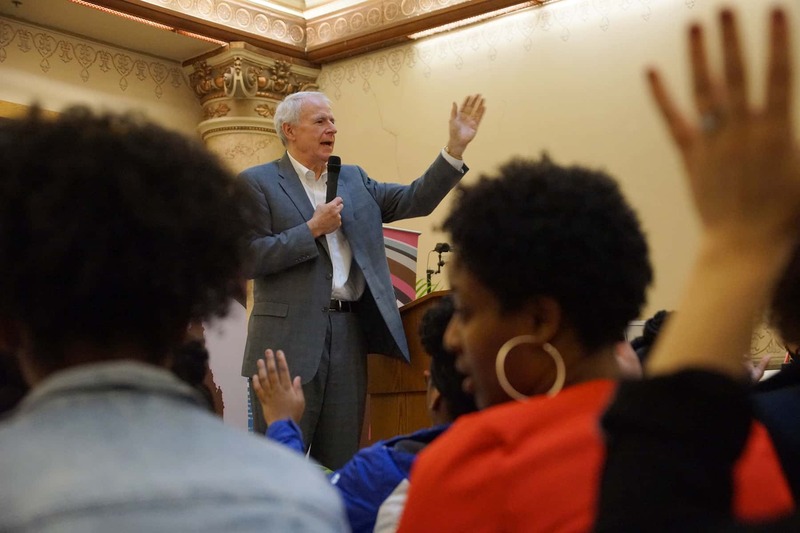 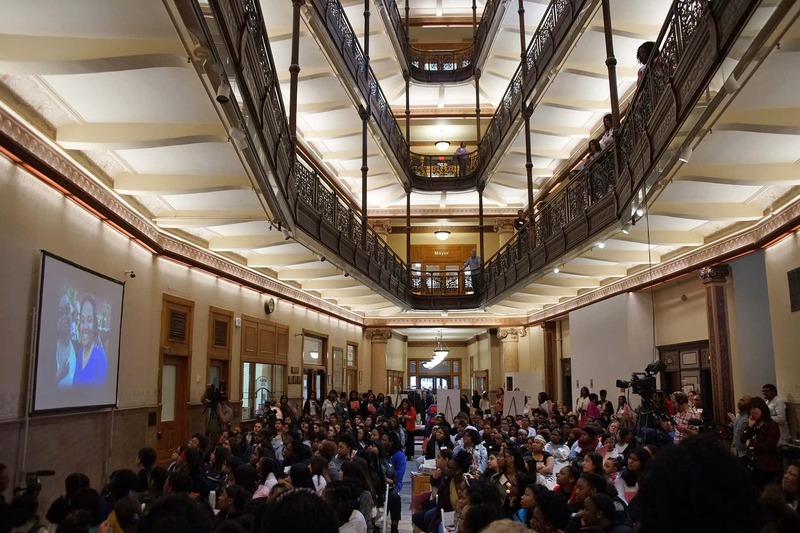 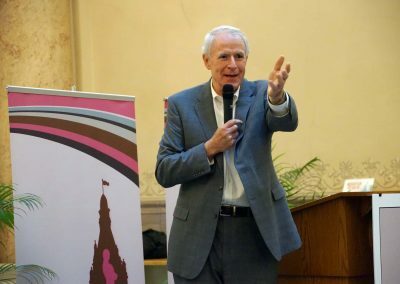 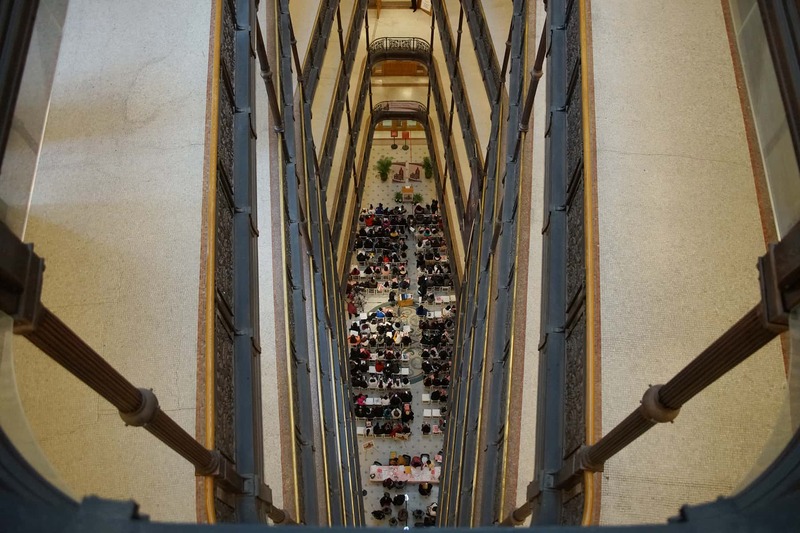 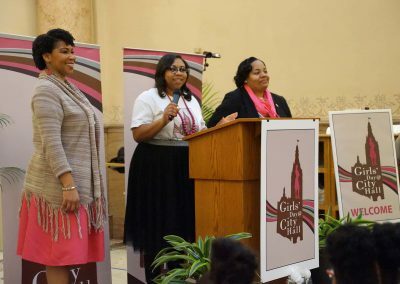 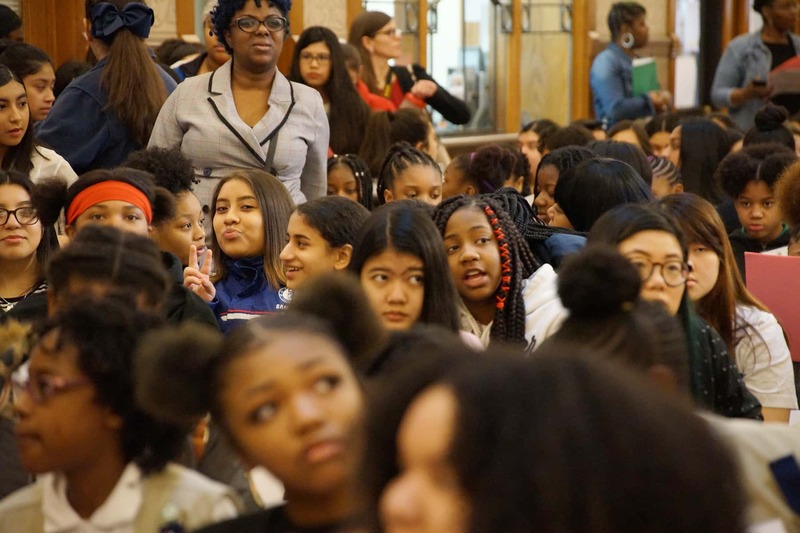 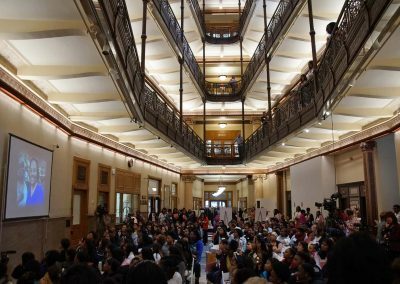 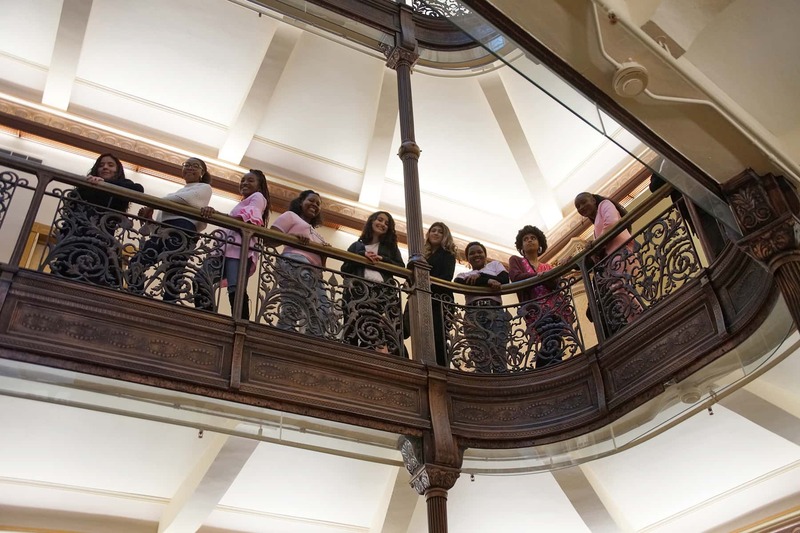 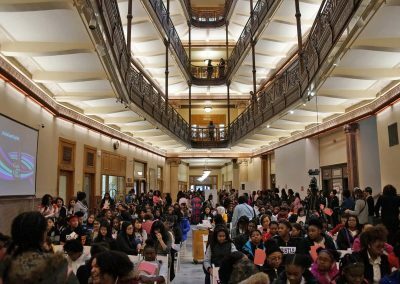 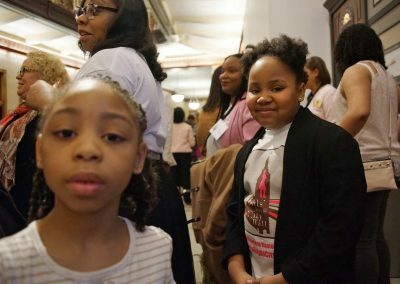 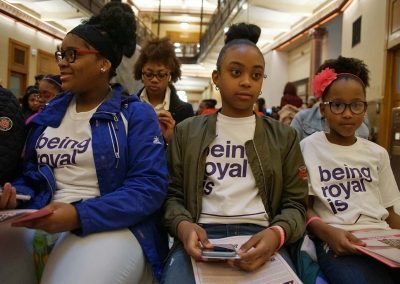 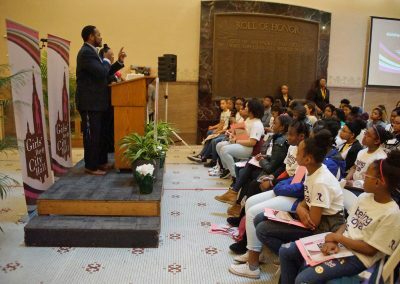 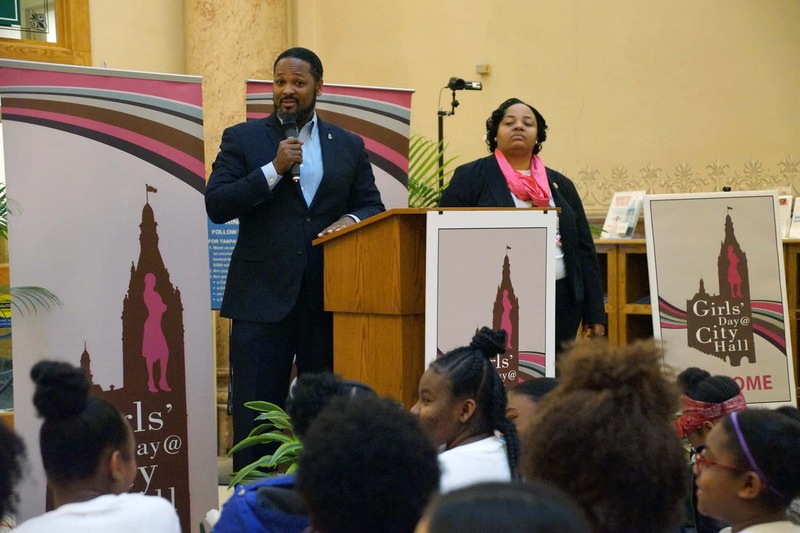 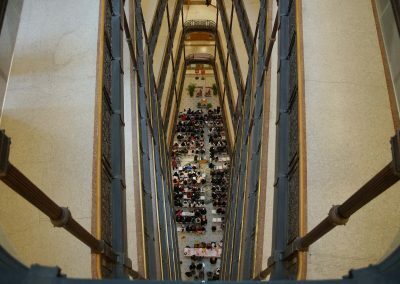 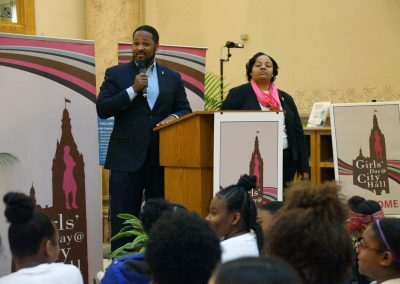 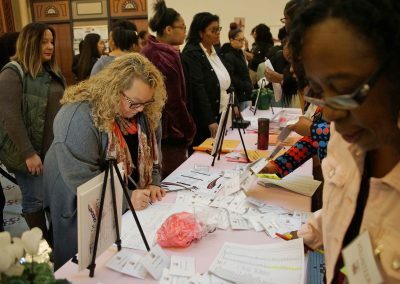 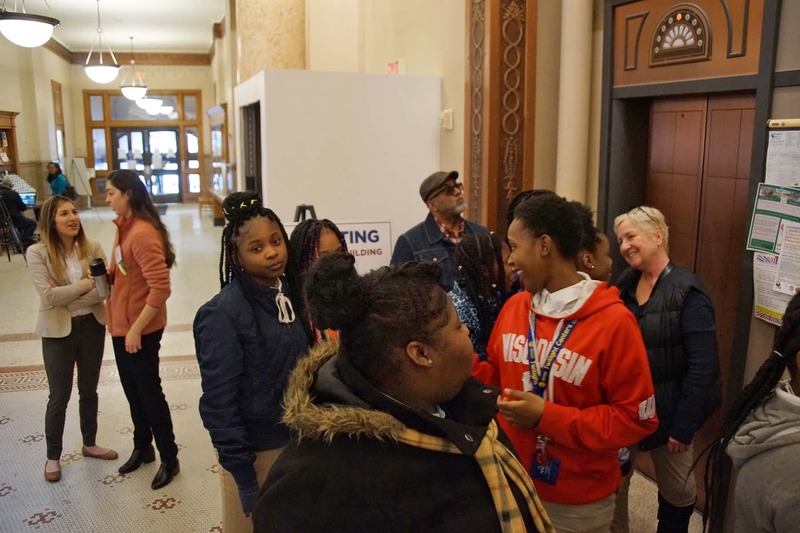 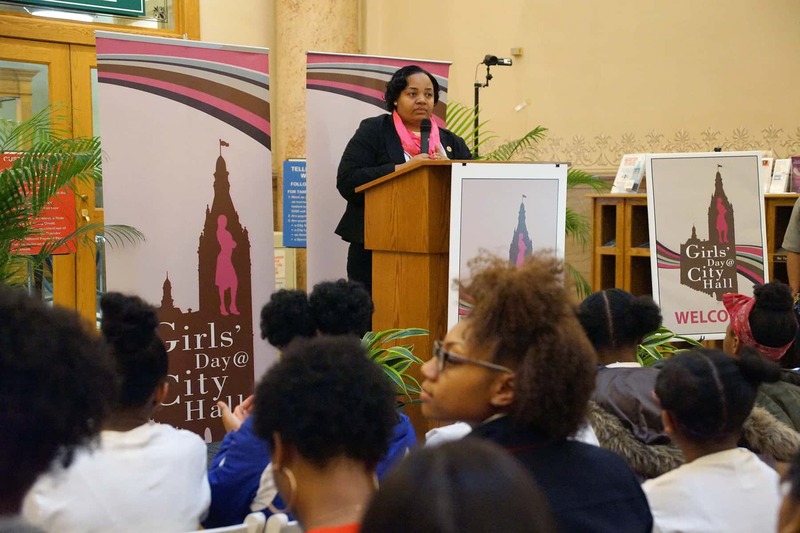 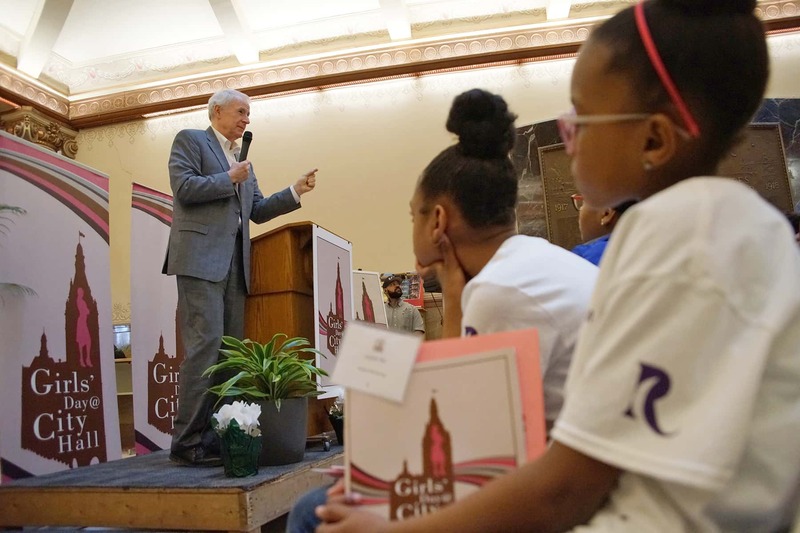 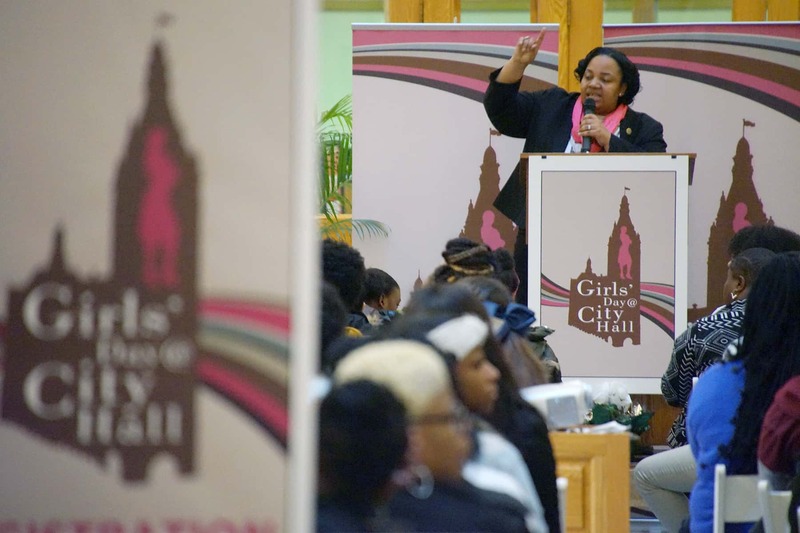 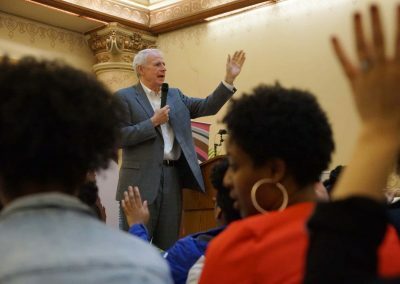 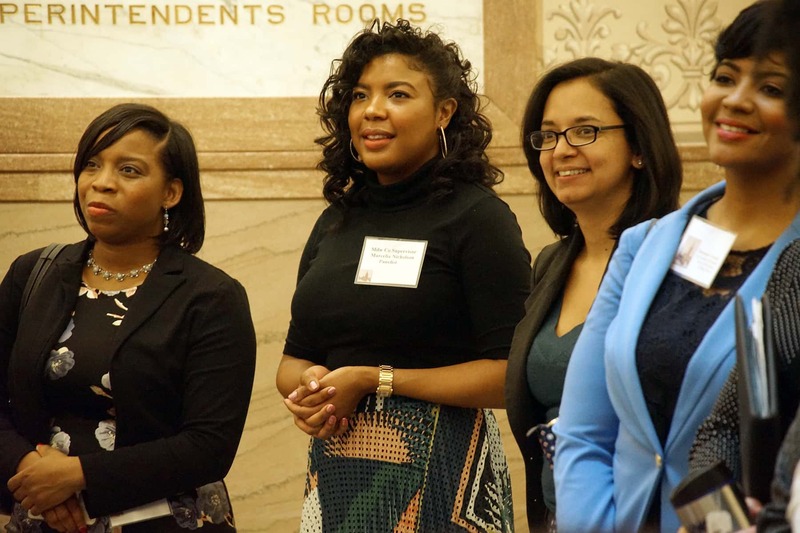 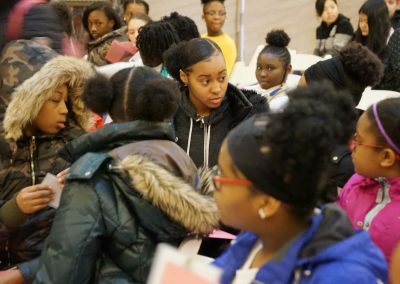 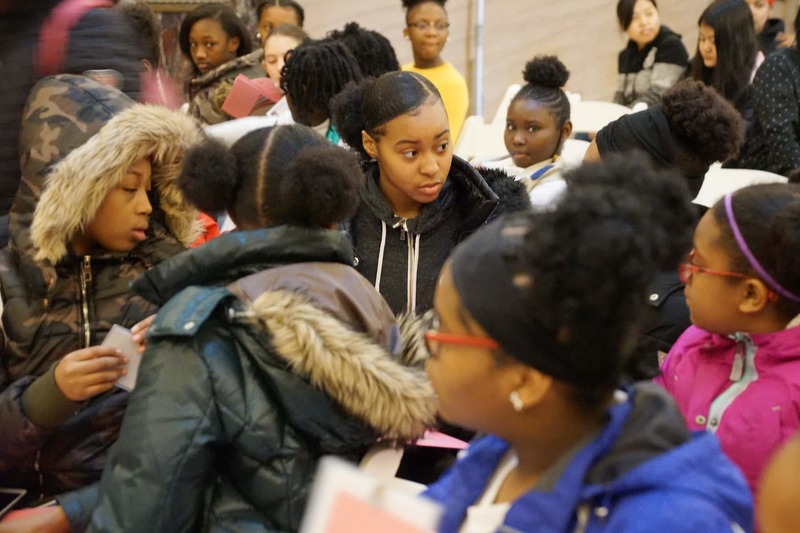 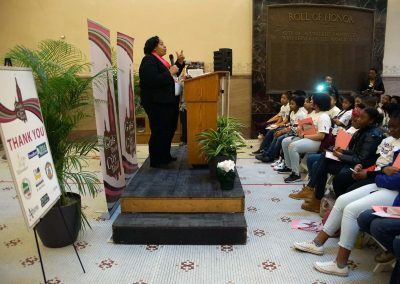 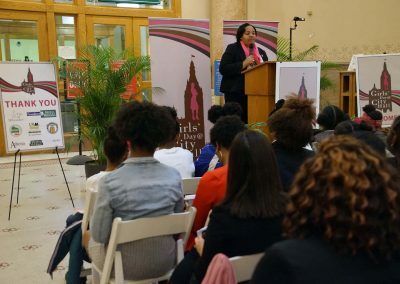 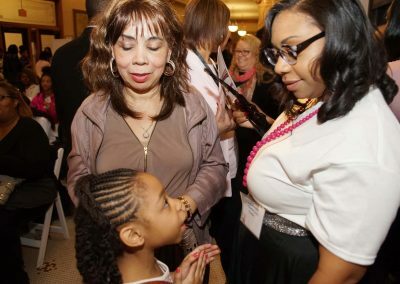 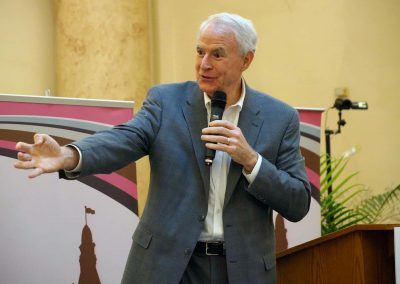 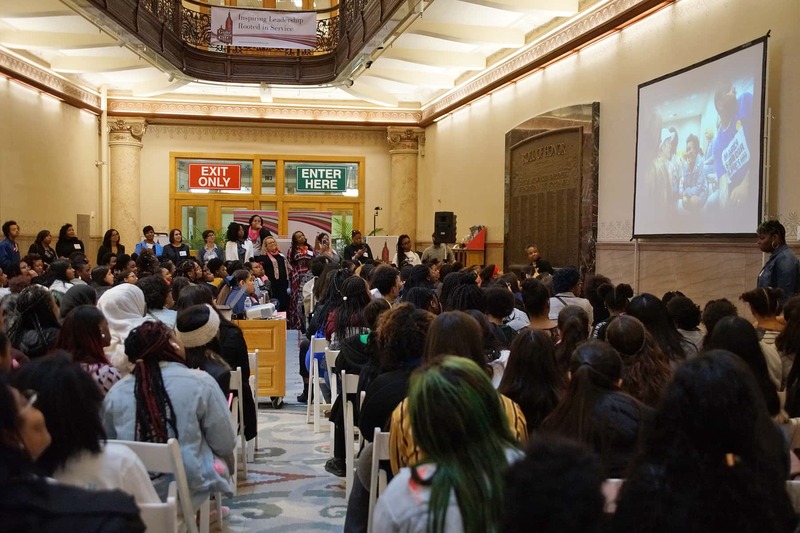 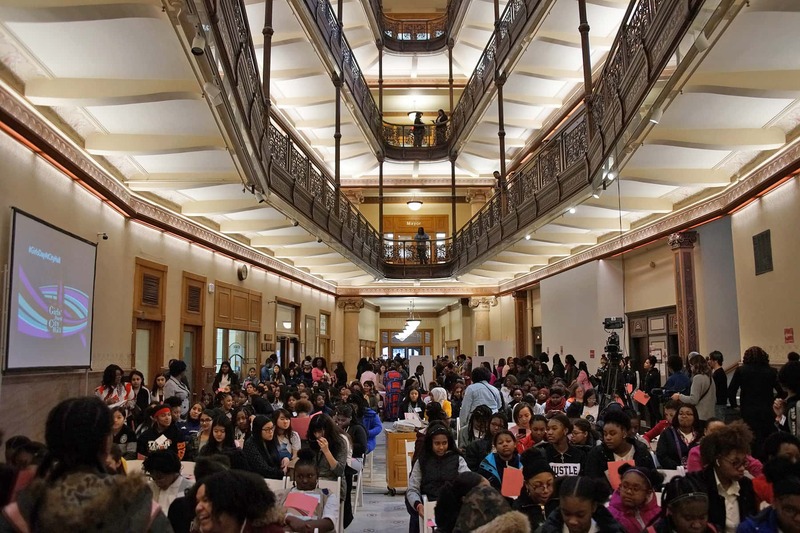 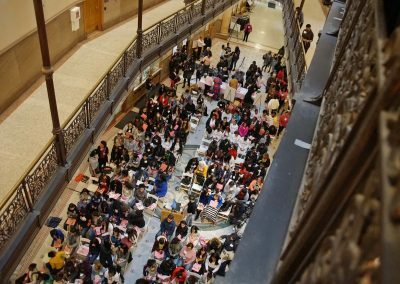 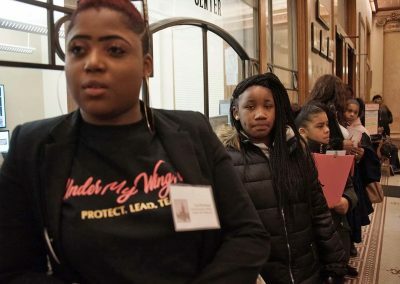 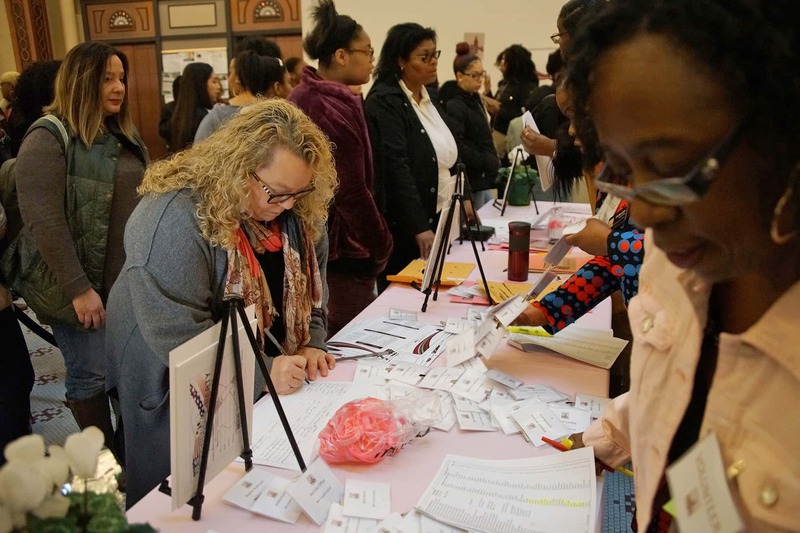 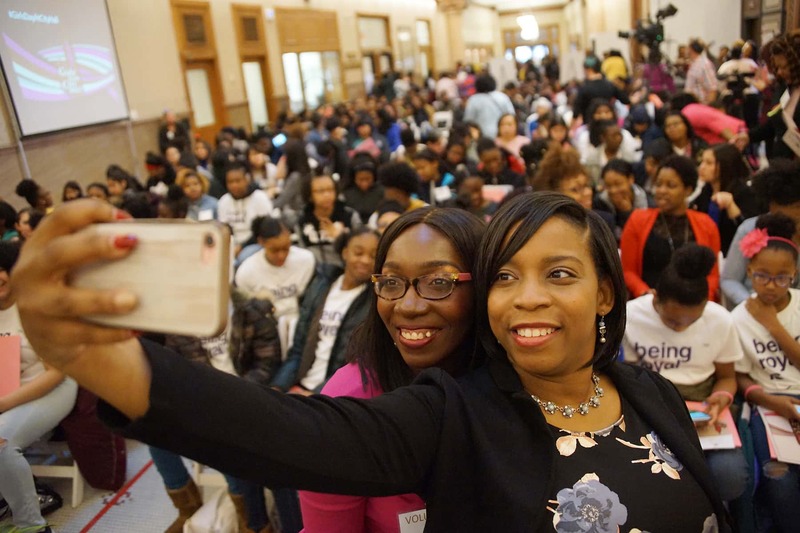 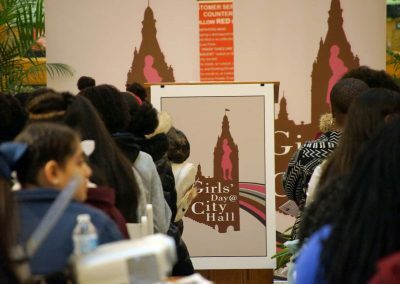 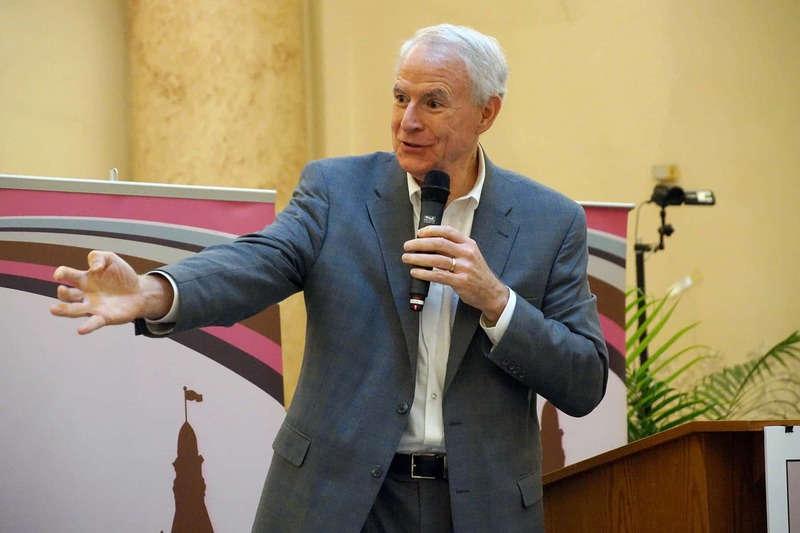 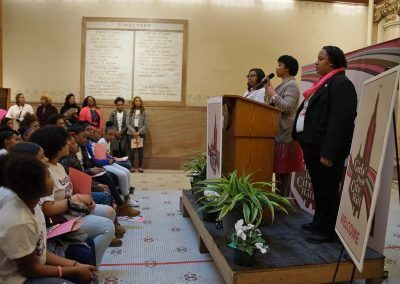 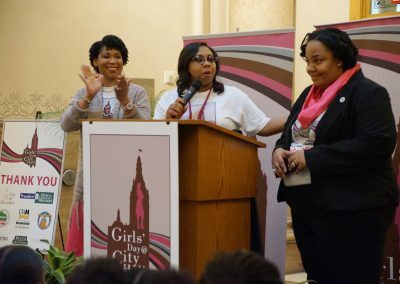 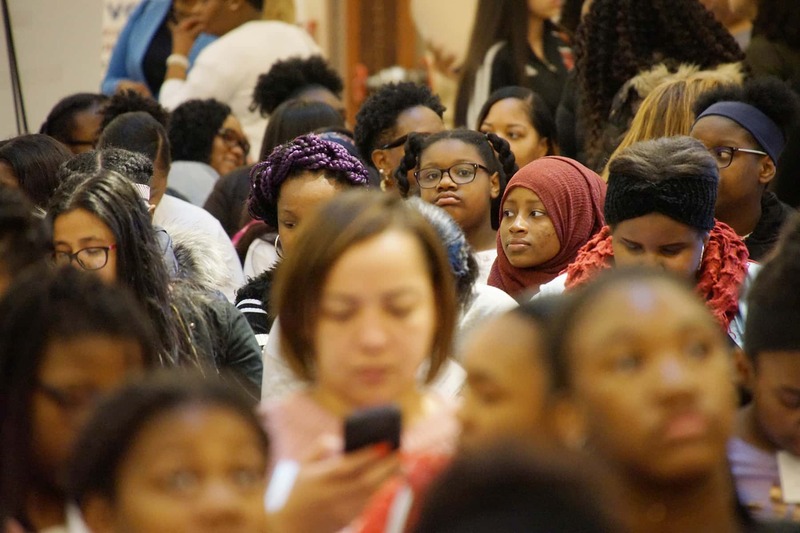 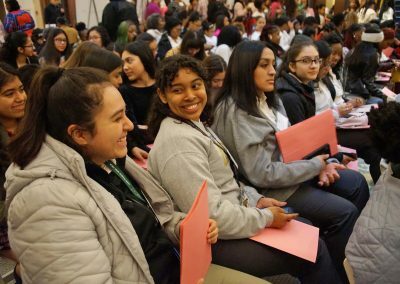 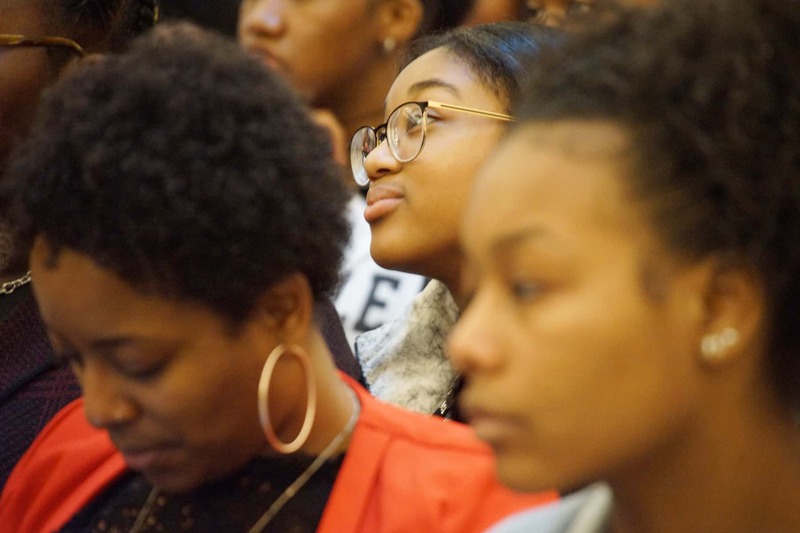 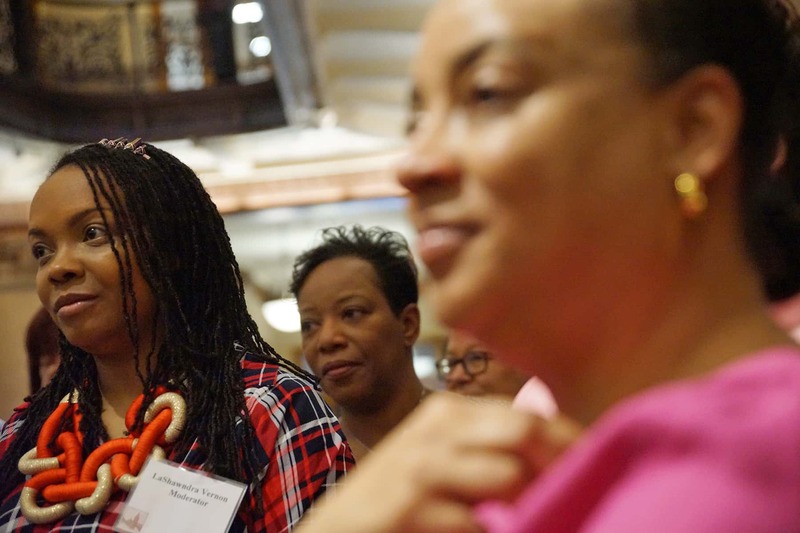 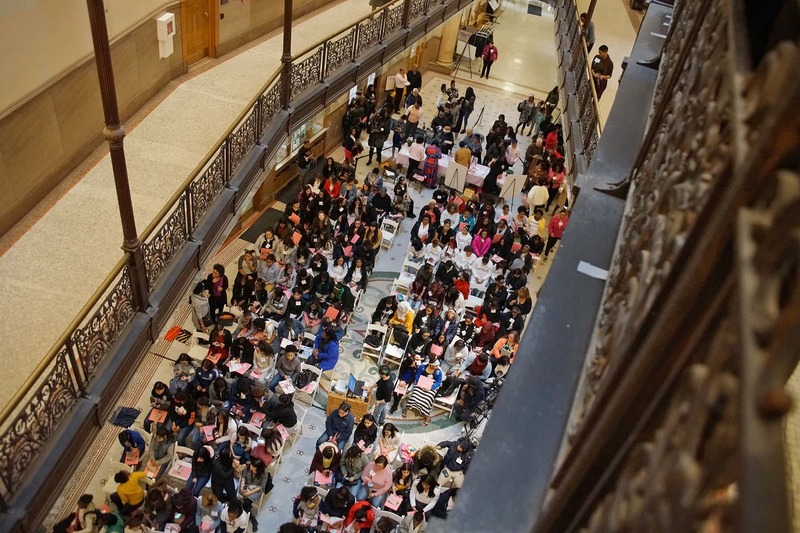 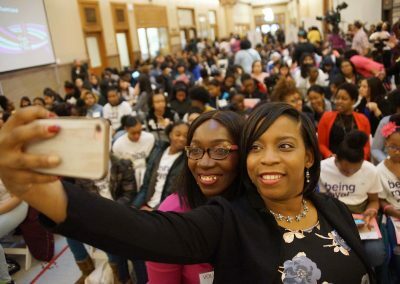 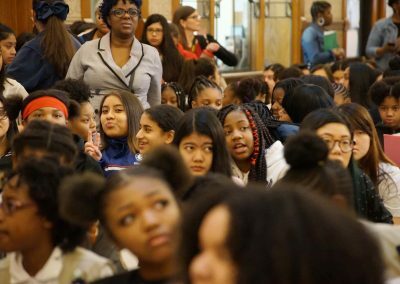 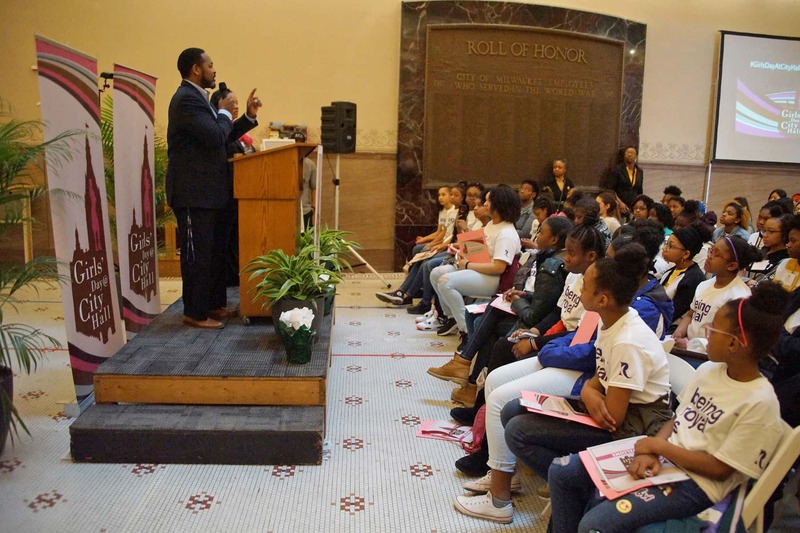 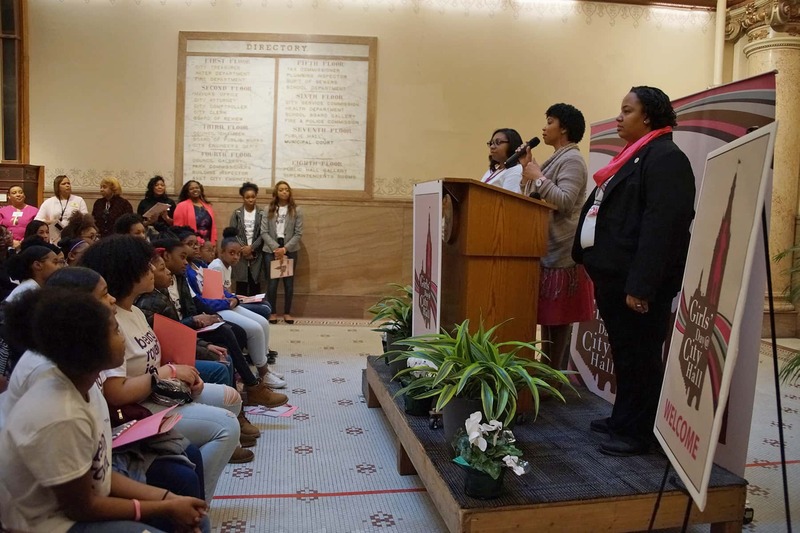 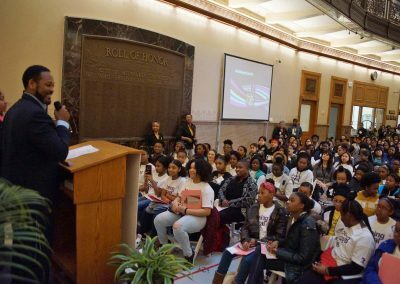 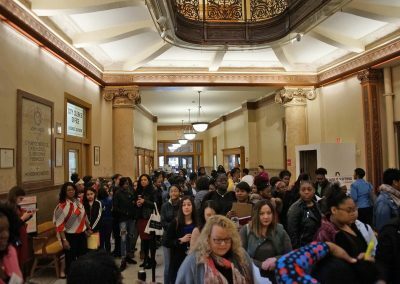 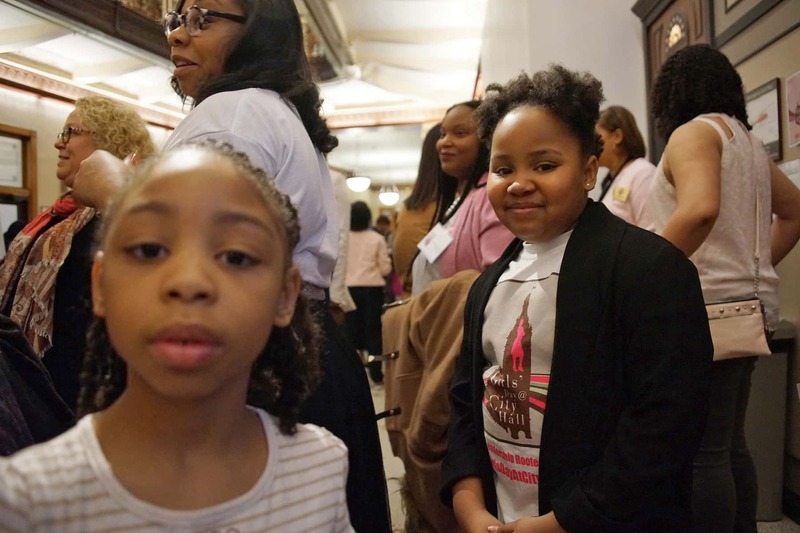 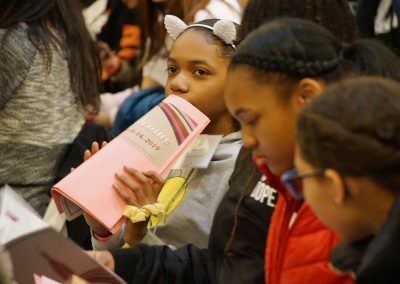 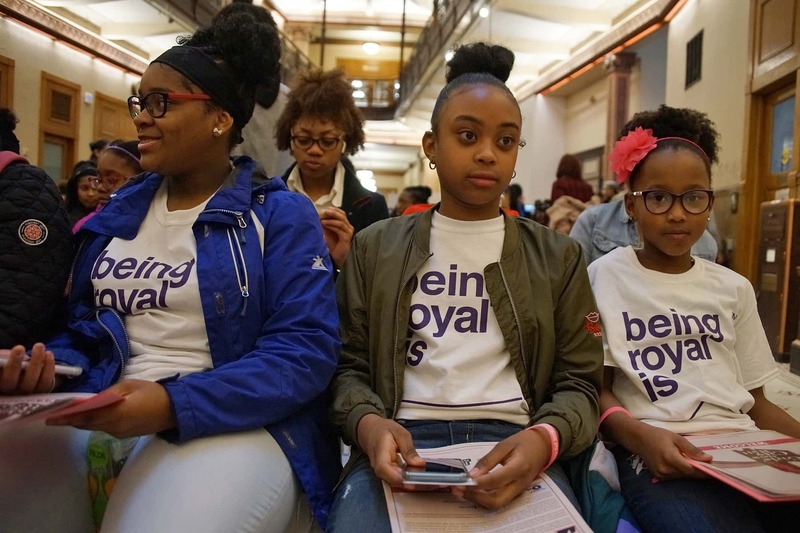 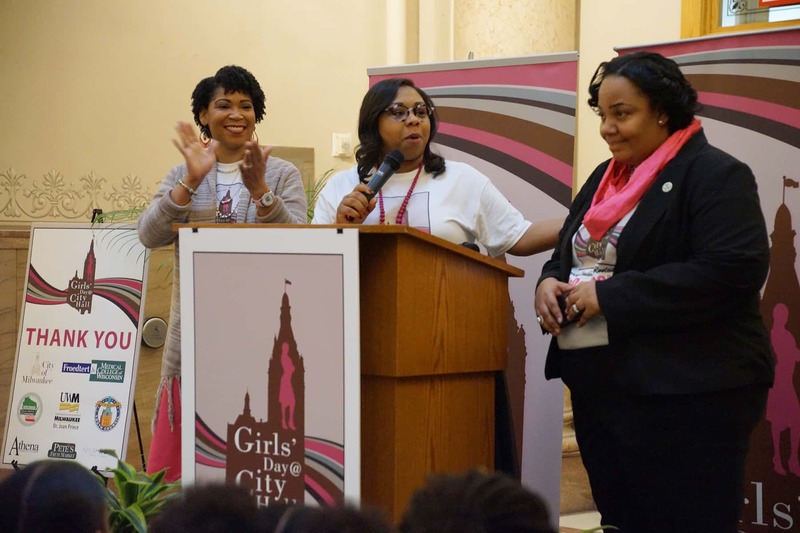 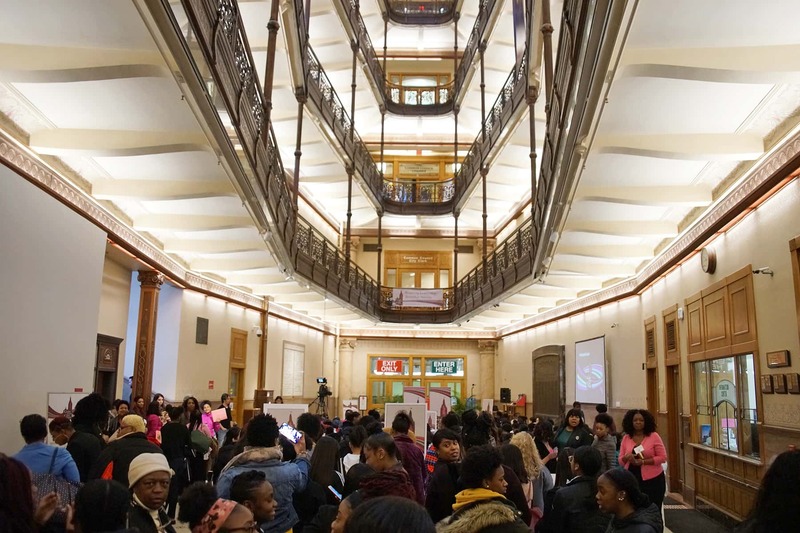 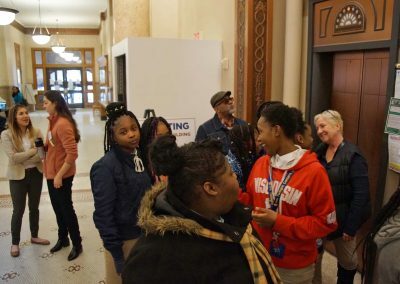 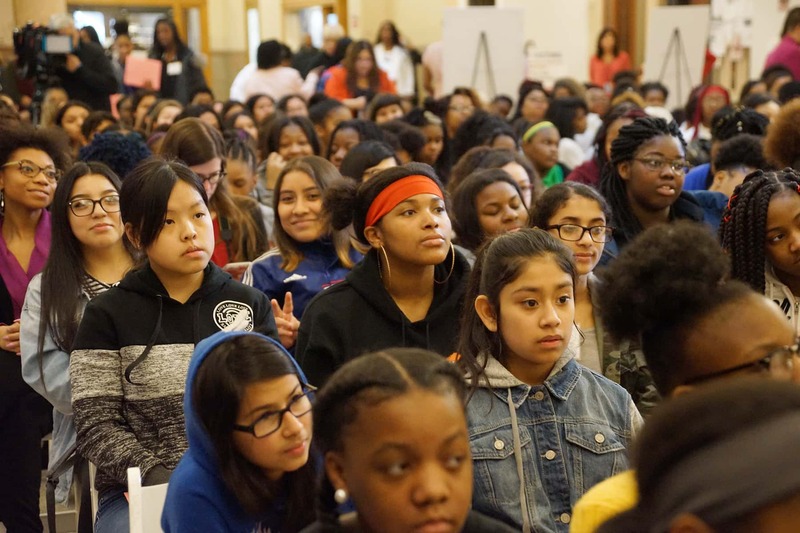 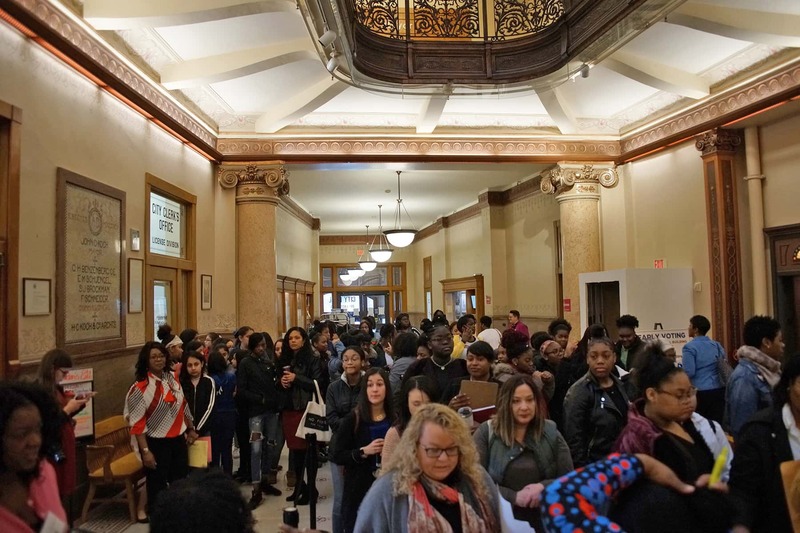 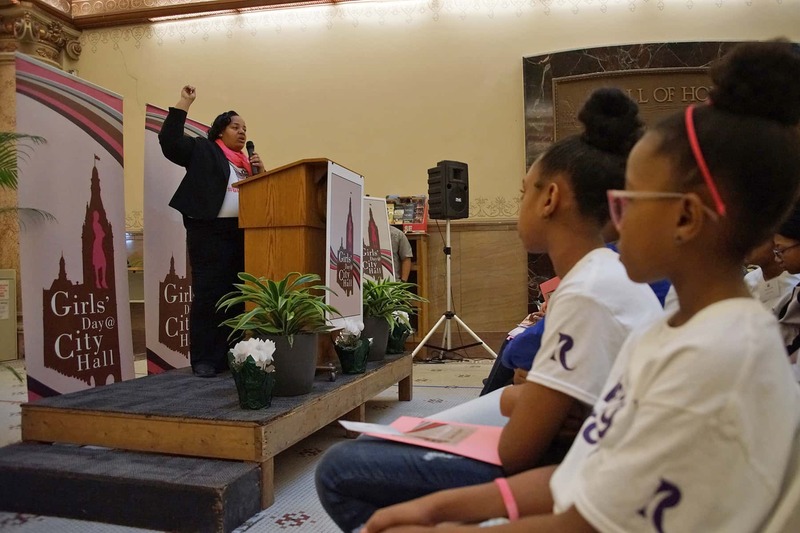 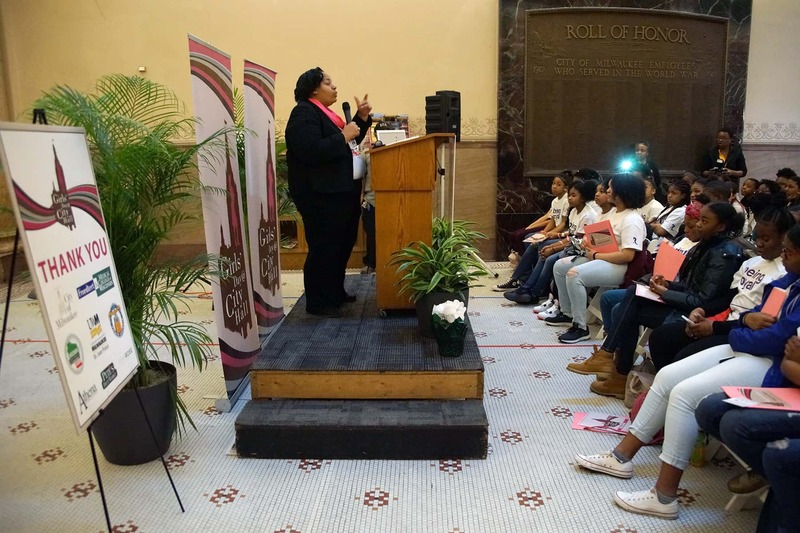 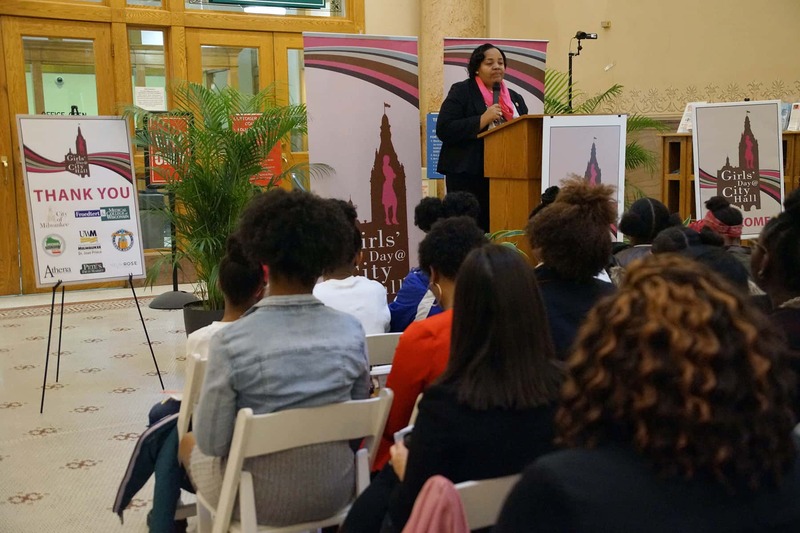 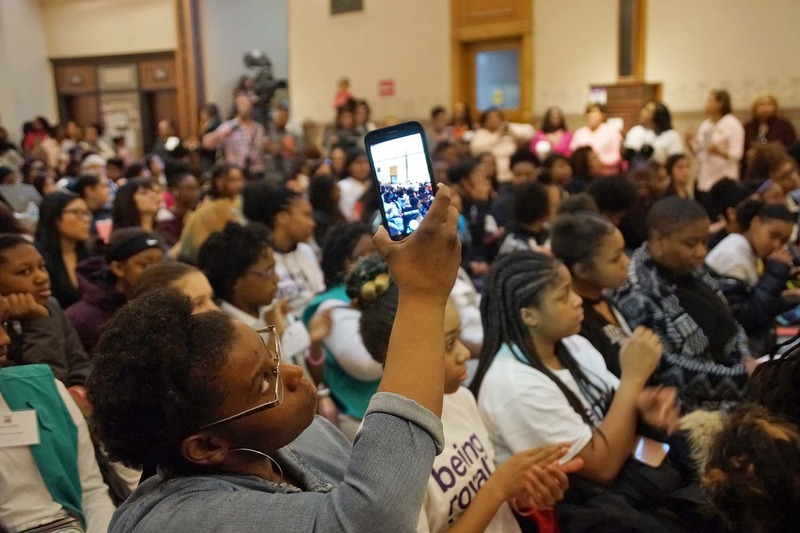 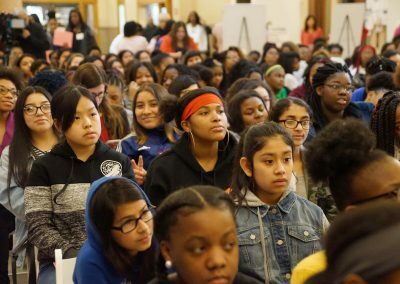 The 9th Annual Girls’ Day was held at Milwaukee City Hall on March 14, providing an opportunity for young women to be inspired by strong female leaders and learn more about a future in public service. 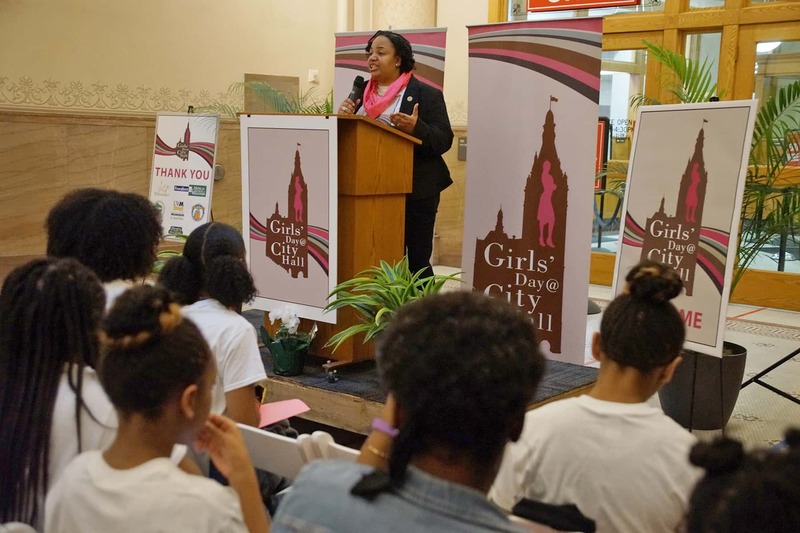 Created by Alderwoman Milele A. Coggs, Girls’ Day at City Hall began with 38 students in its first year. 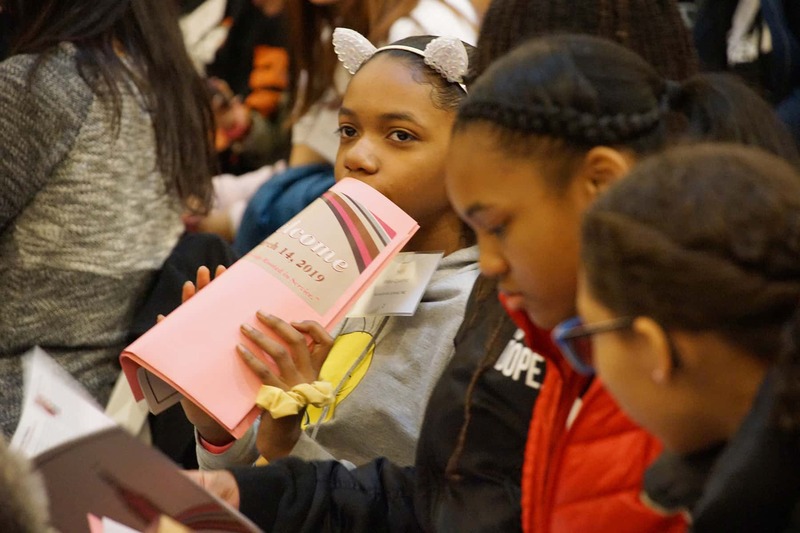 That total has expanded annually and reached 368 junior and high school participants for 2019. 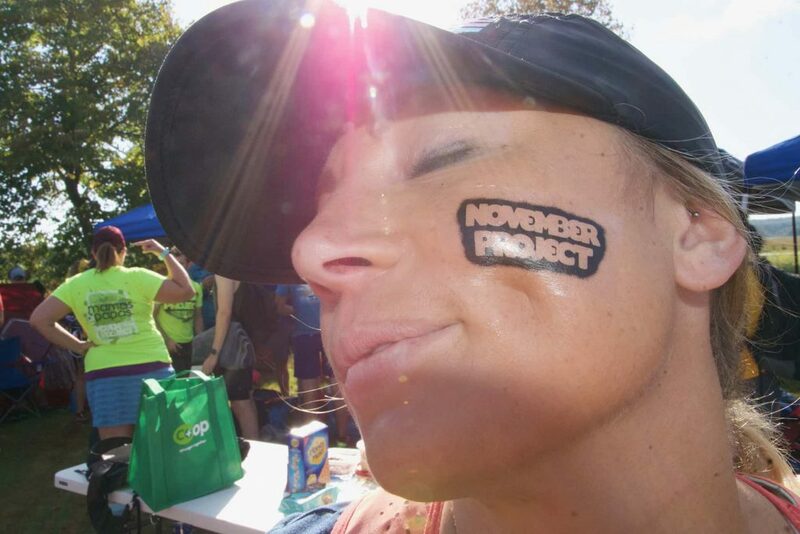 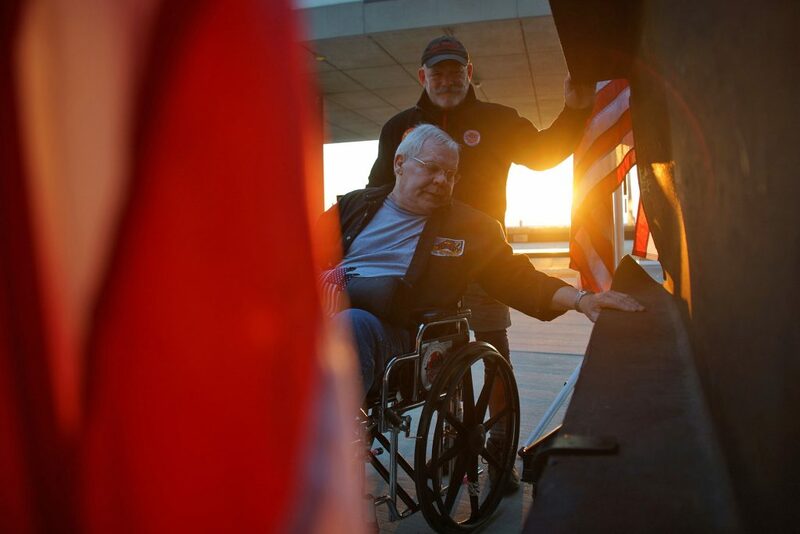 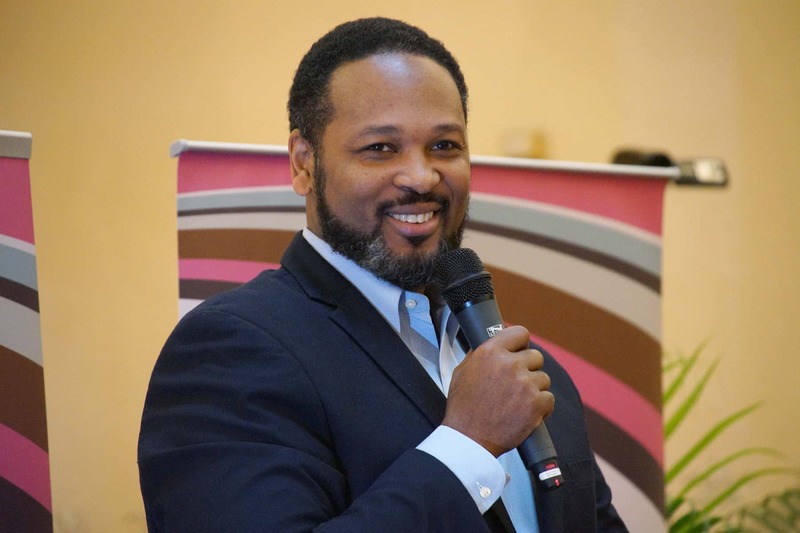 Included at the event were leadership and motivational speeches, panel discussions, and workshops. 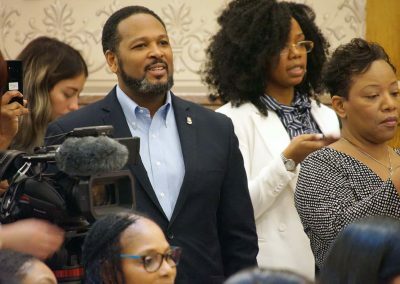 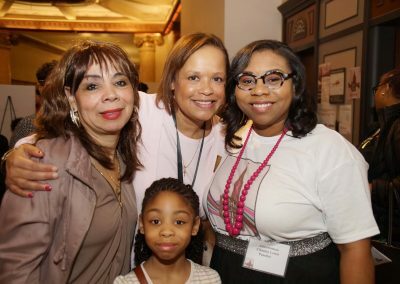 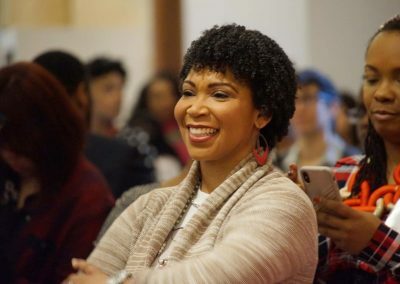 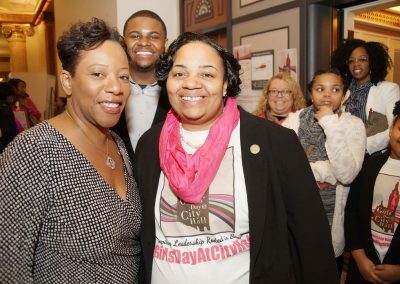 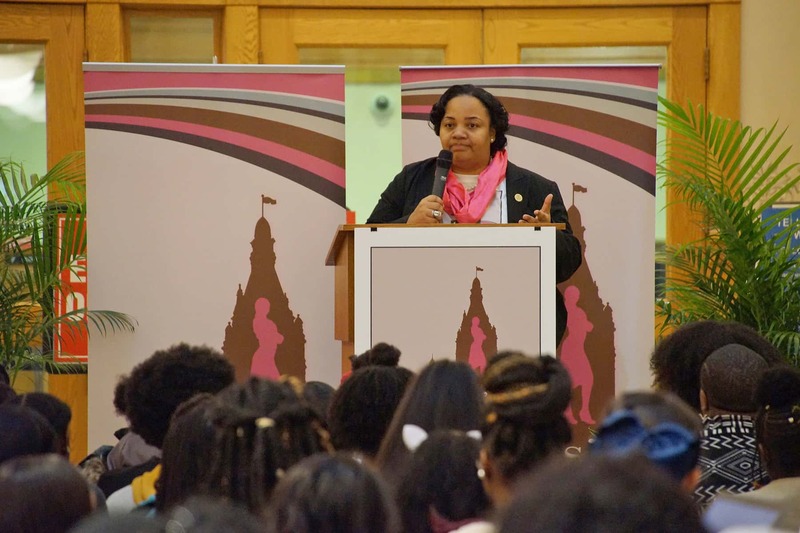 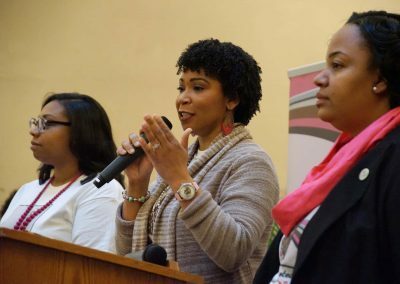 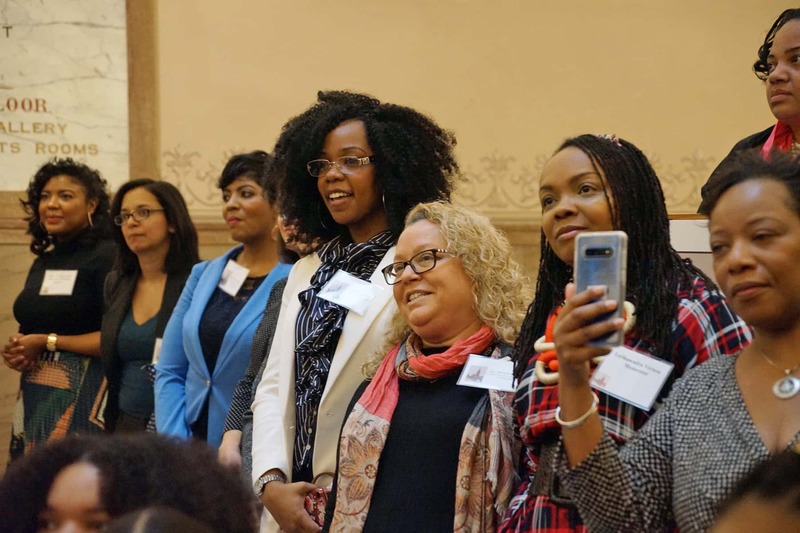 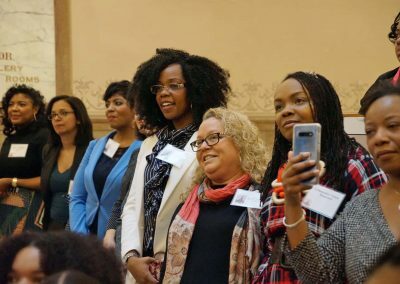 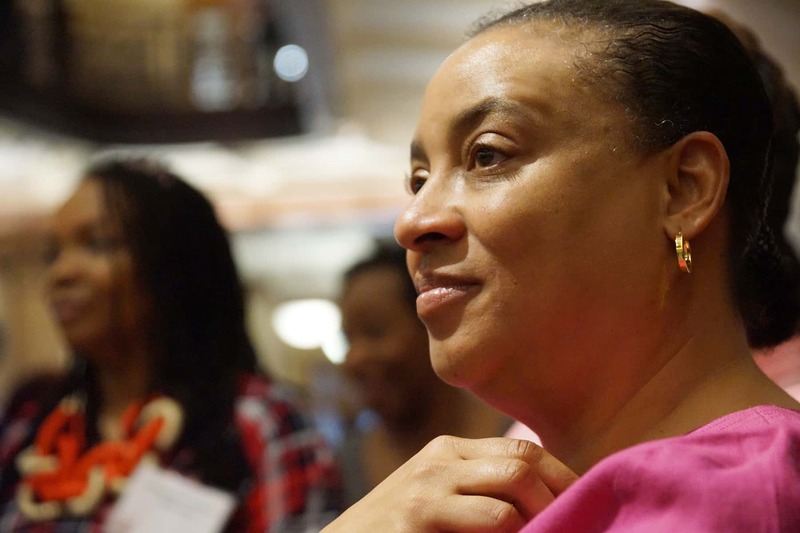 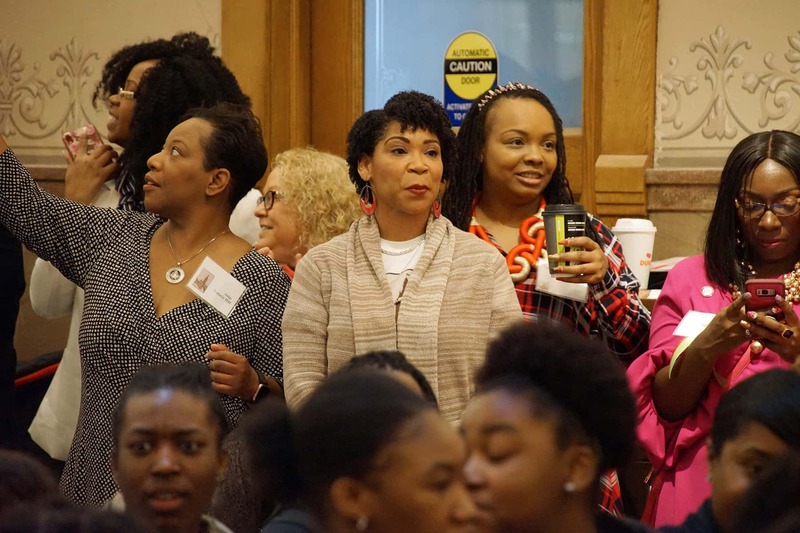 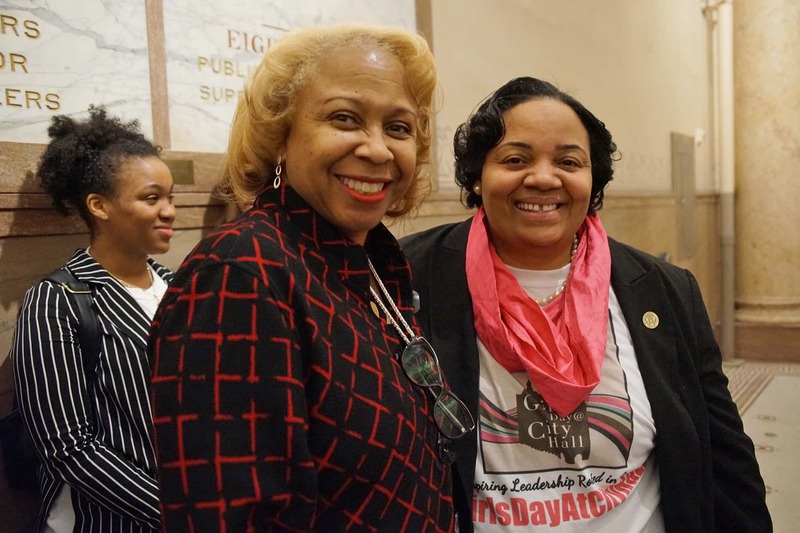 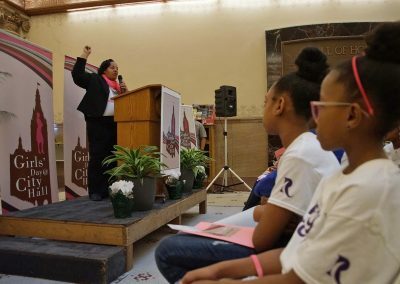 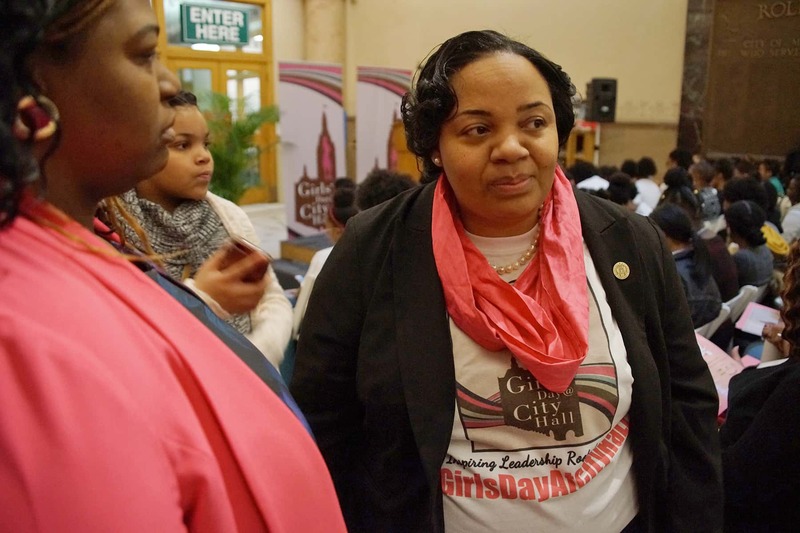 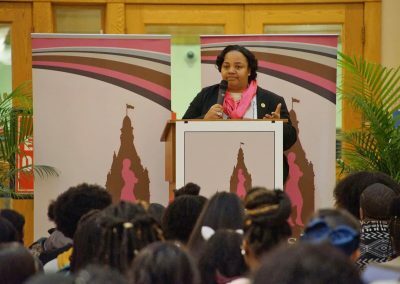 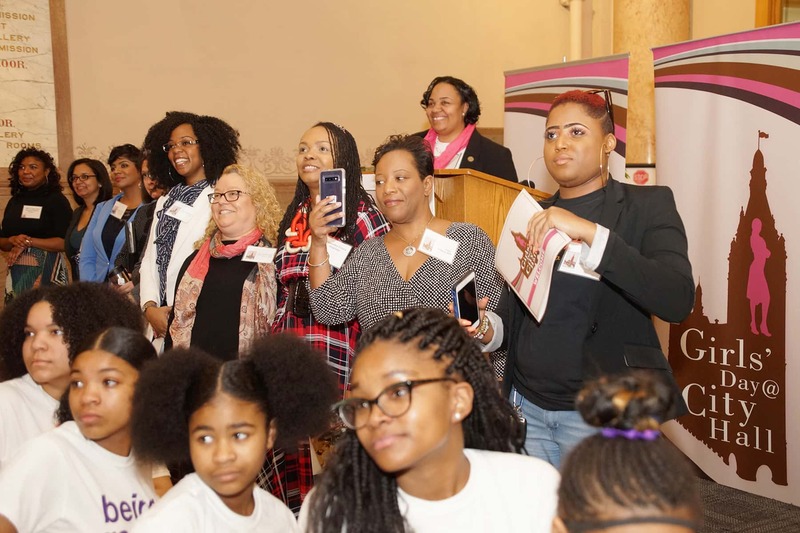 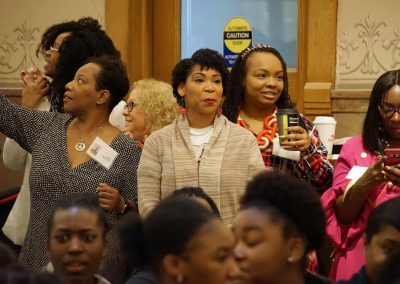 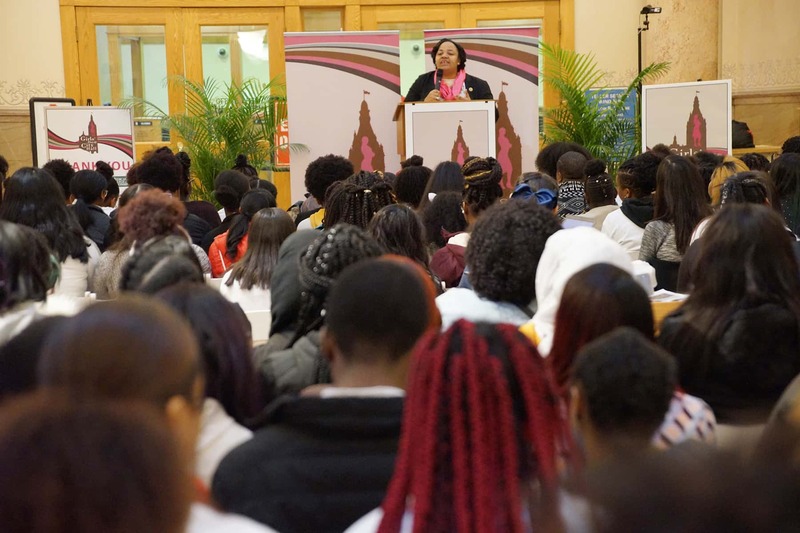 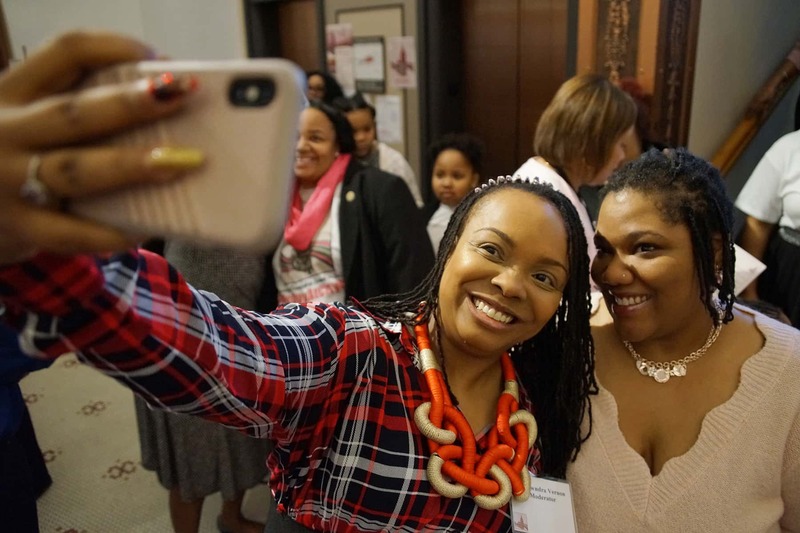 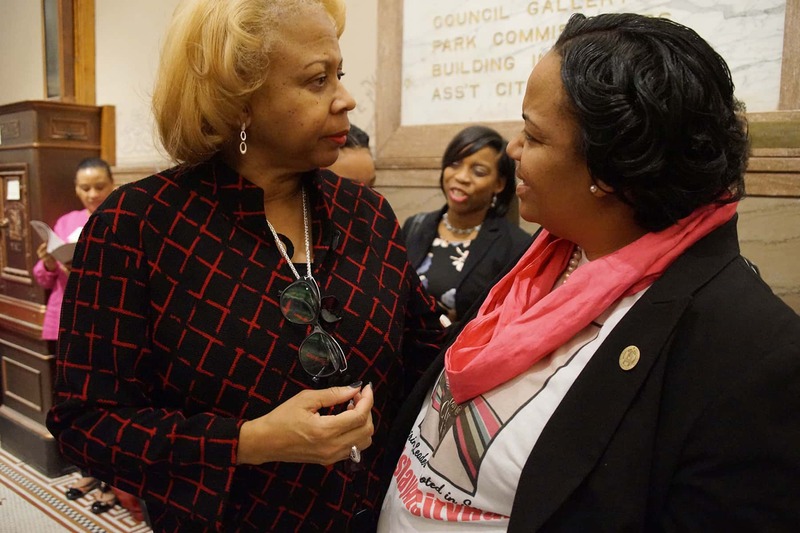 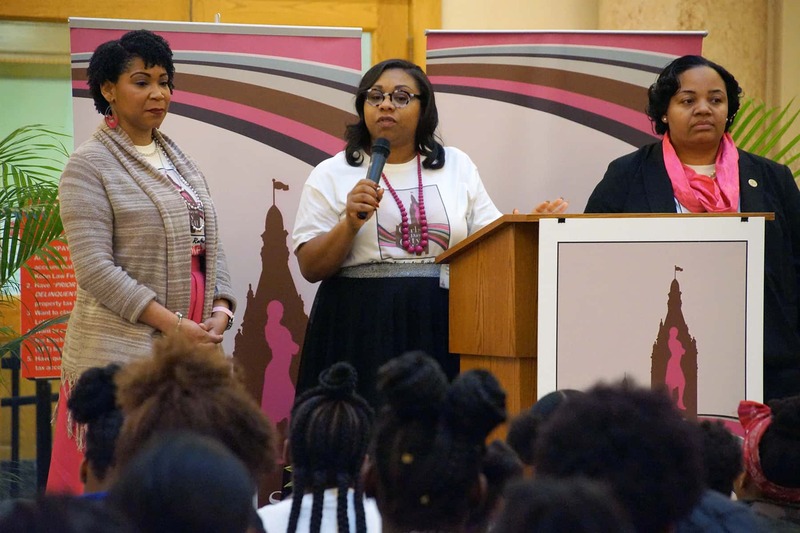 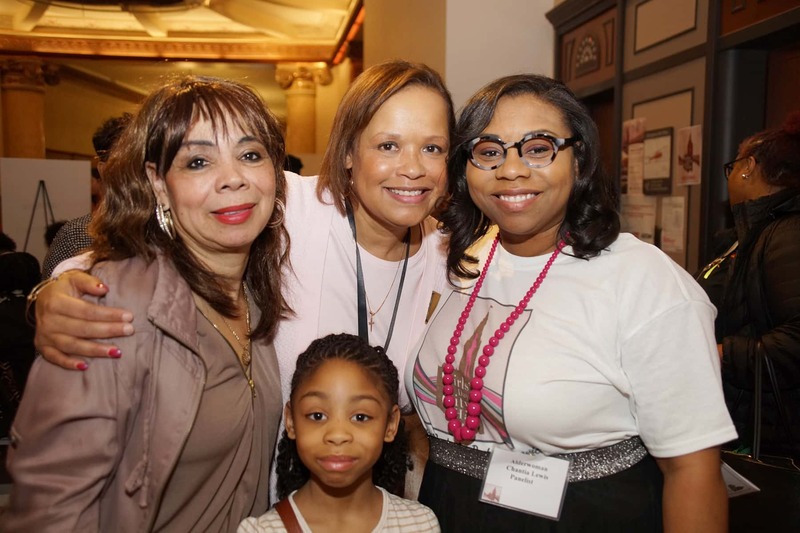 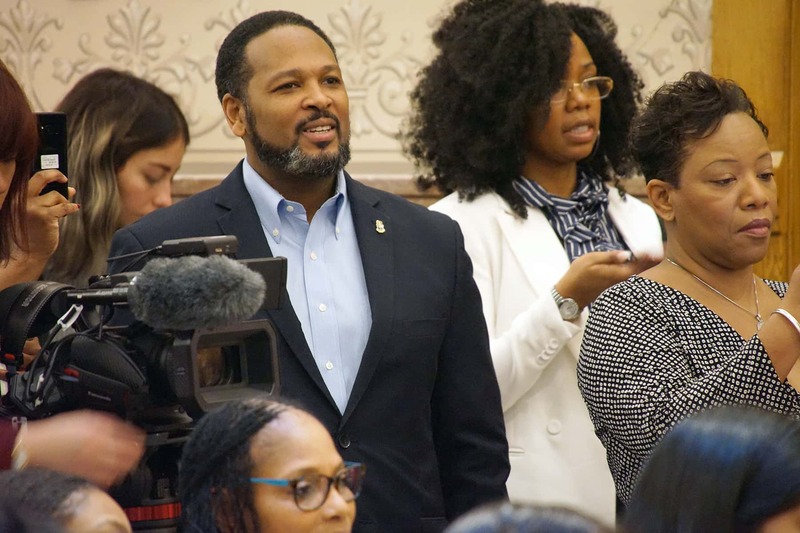 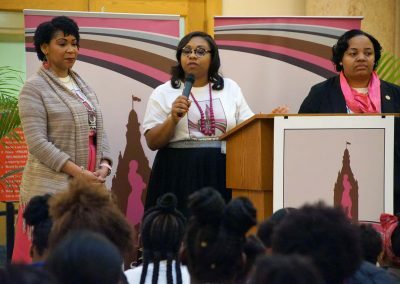 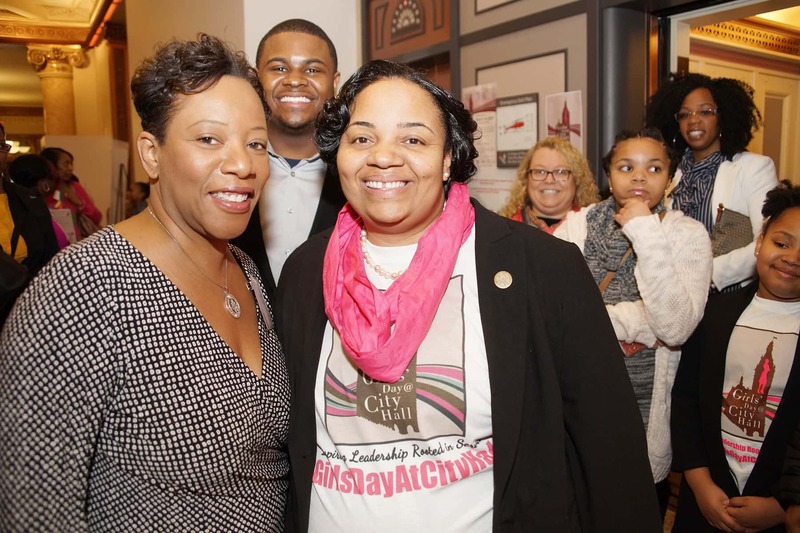 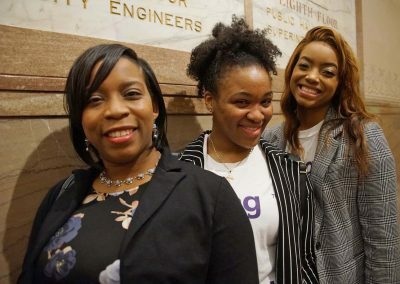 Alderwoman Coggs said that her purpose for the day was to offer young girls with opportunities for active engagement, and involvement with several public service-oriented organizations focused on young women and led by women. 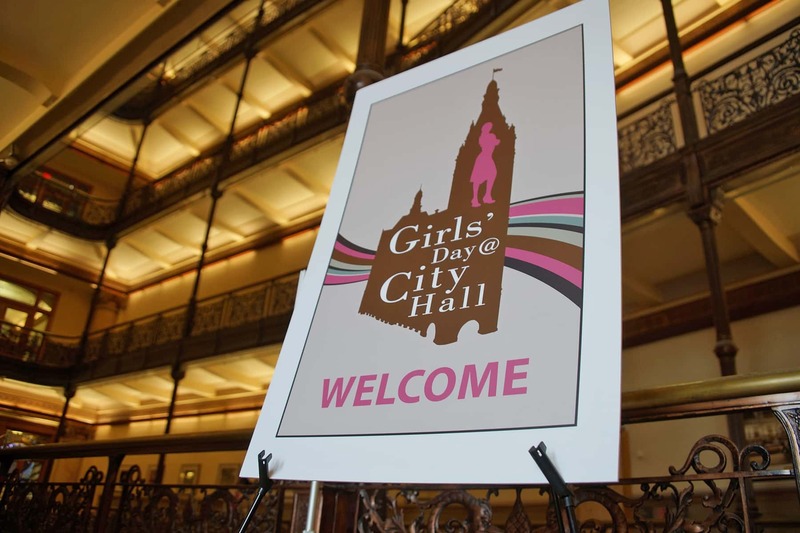 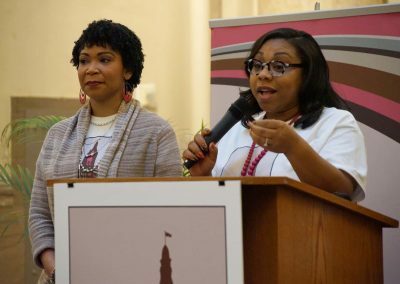 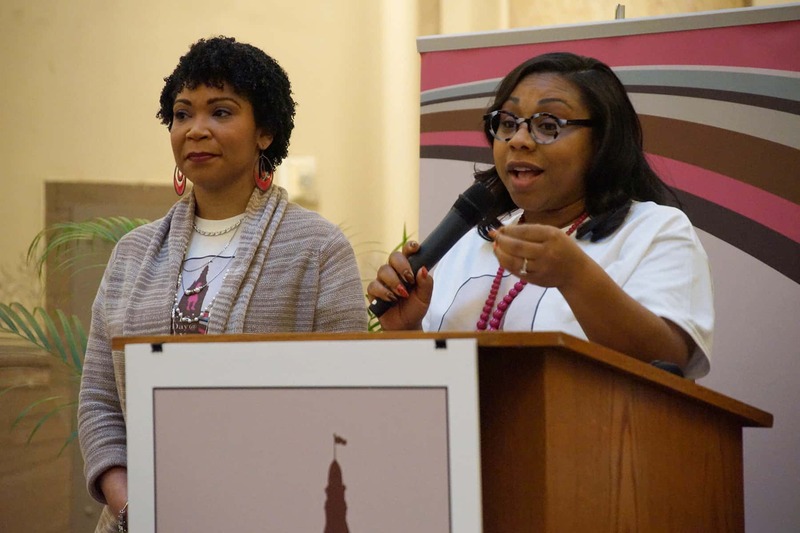 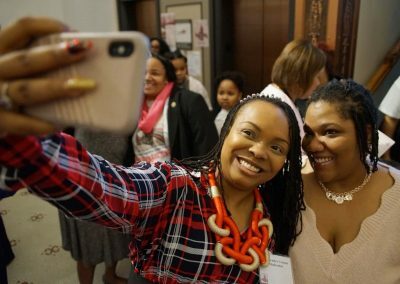 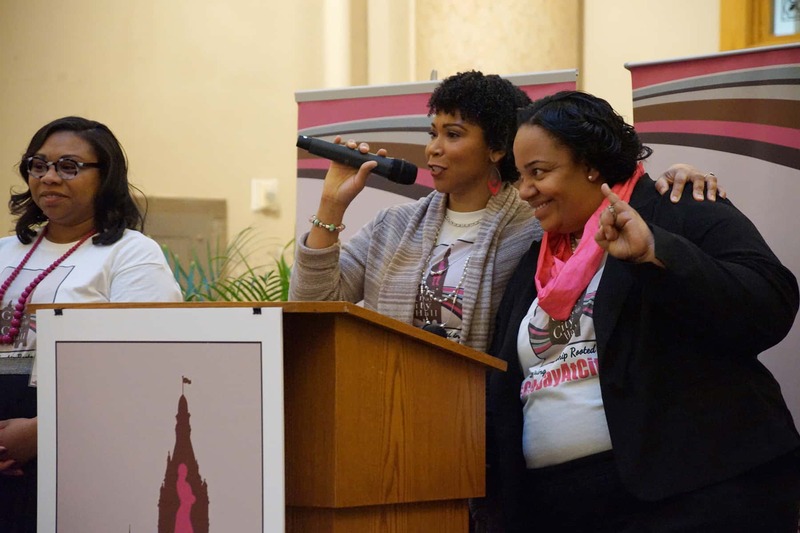 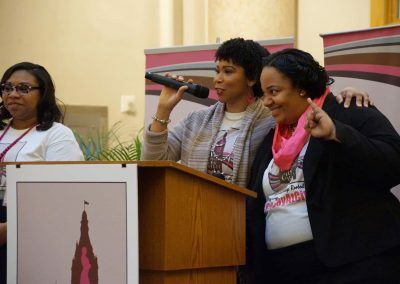 Girls’ Day at City Hall was co-hosted Alderwomen Chantia Lewis and Nikiya Dodd. 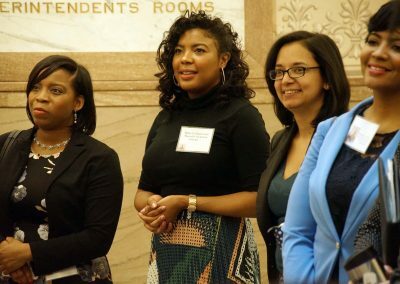 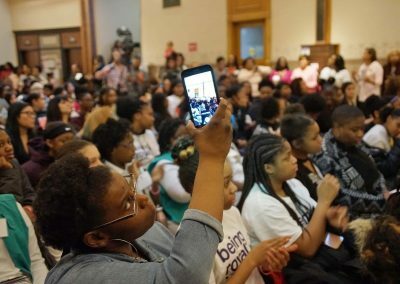 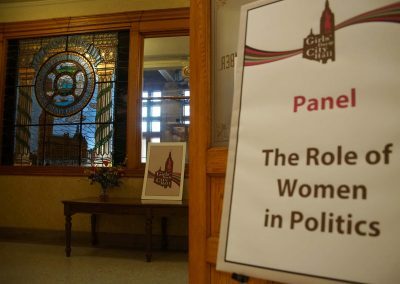 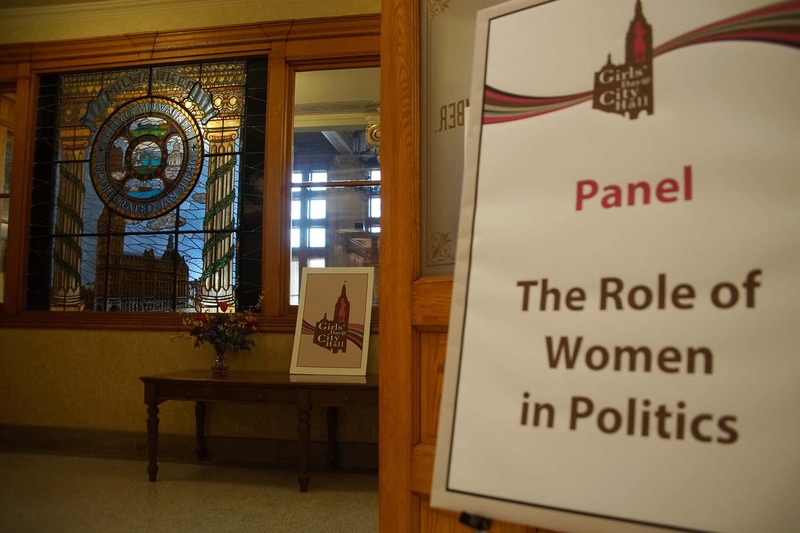 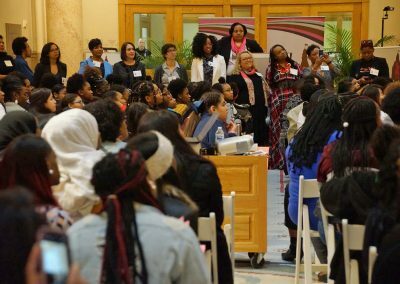 Some of Milwaukee’s most influential women in politics shared their secrets to success with the crowd of young students from all over the area. 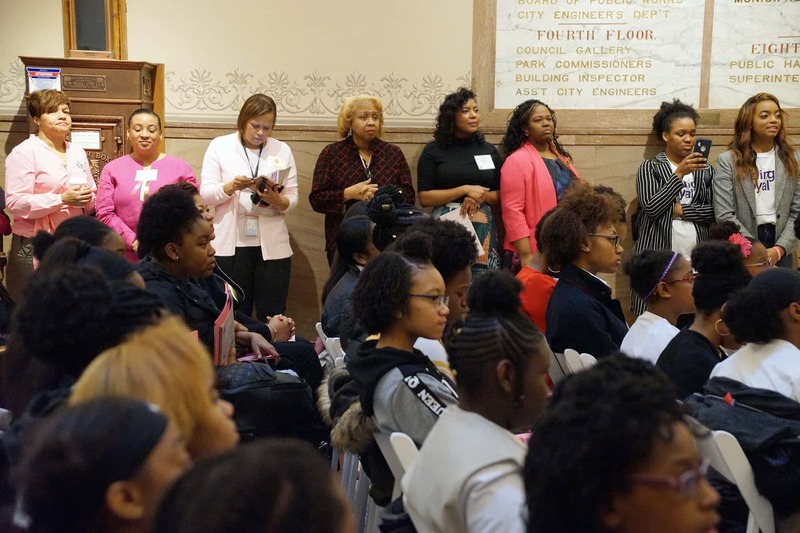 The day of programming included a speech by Dr. Joan M. Prince, The Prince Group, President/CEO and workshops moderated by Dr. Diamond Hanson, U.S. Department of Homeland Security, Health Communications Officer; Ebony Lewis, Boys & Girls Club of Greater Milwaukee, Program Manager; LaShawndra Vernon, Creative Entrepreneur; and La’Ketta Caldwell, Boys & Girls Club of Greater Milwaukee, Arts Director. 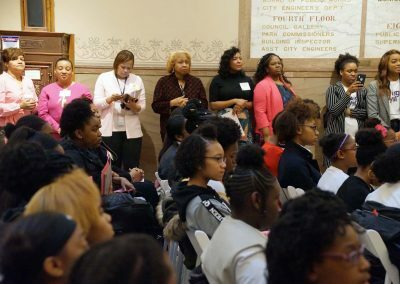 Participants of the panel discussions included Valarie A. Hill, Municipal Court (Branch 1), Judge; Tomika Vukovic, City of Glendale – Common Council, 1st District Alderwoman; oCasta Zamarripa, Wisconsin Legislature, State Representative, 8th Assembly District; LaKeshia Myers, Wisconsin Legislature, State Representative, 12th Assembly District; Marisabel Cabrera, Wisconsin Legislature, State Representative, 9th Assembly District; Shanyeill McCloud, Clean Slate Milwaukee, Founder; Marcelia Nicholson, Milwaukee City Board of Supervisors, Supervisor, 5th Assembly District; Sequanna Taylor, Milwaukee City Board of Supervisors, Supervisor, 2nd Assembly District; Karen De Mer, City of Milwaukee Water Works, Superintendent; Lea Hortman, Under My Wing, Inc., Founder/CEO; Dr. Michele Bria, Journey House, Chief Executive Officer; Shauntay Nelson, Wisconsin Voices Democracy, Director; Mikell Daniels, GLOW414, Owner; Arkesia Jackson, Black Leaders Organizing for Communities, Program Director; Baboonie Tatum, Home Away from Home Living Center, Founder; Bria Smith, City of Milwaukee – Youth Council, President; Teresa Mambu Rasch, Wisconsin AFL-CIO, Legislative and Research Director; Jillian Klug, City of Milwaukee, Department of Neighborhood Services Chief Inspector; Chantia Lewis, City of Milwaukee – Common Council, 9th District Alderwoman; and Nikiya Dodd, City of Milwaukee – Common Council, 5th District Alderwoman. 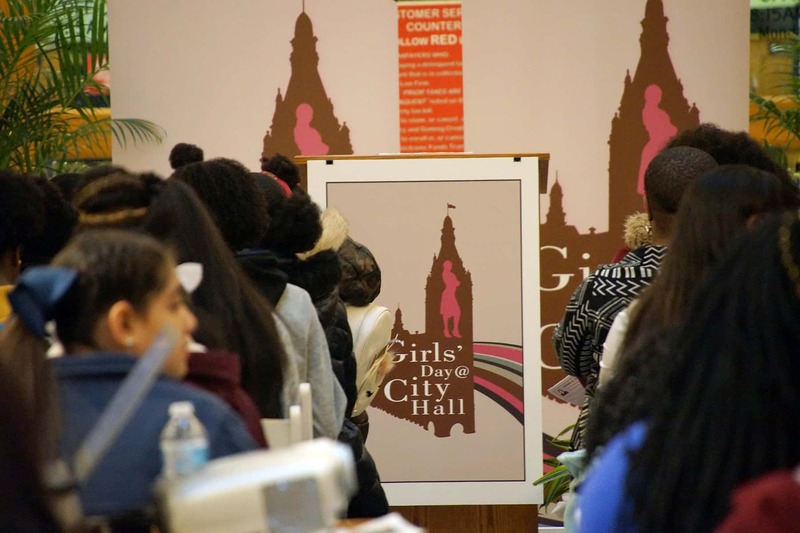 Girls’ Day at City Hall also concluded a week of programming that highlighting several local individuals in honor of Women’s History Month. 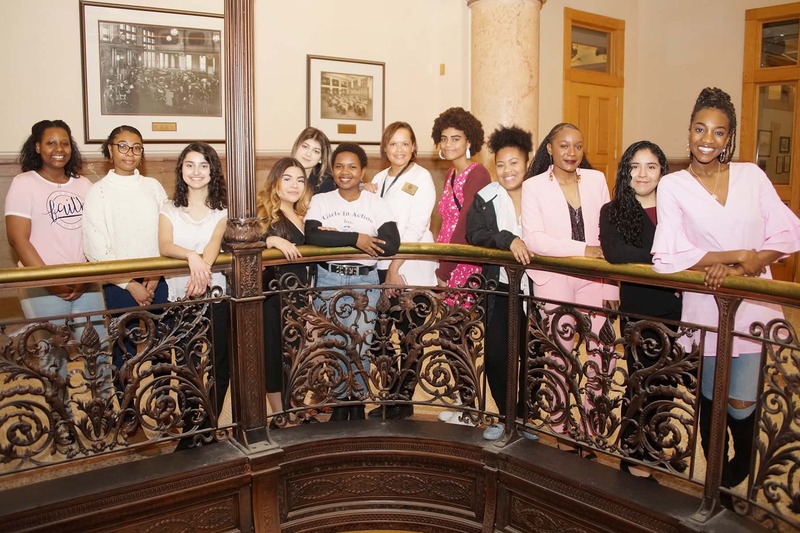 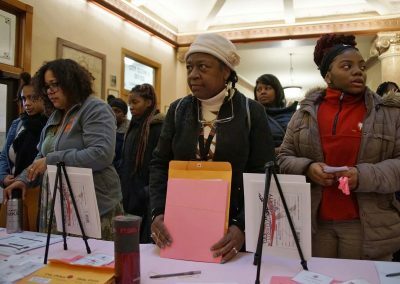 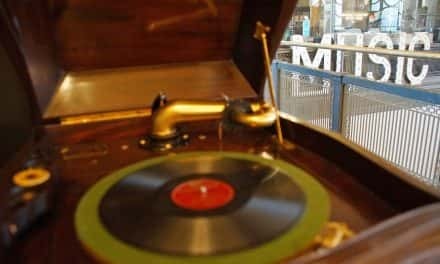 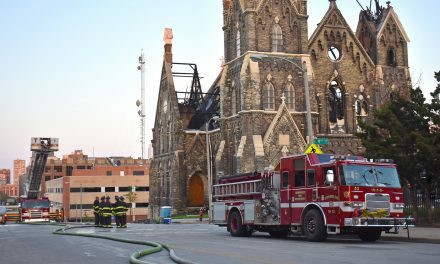 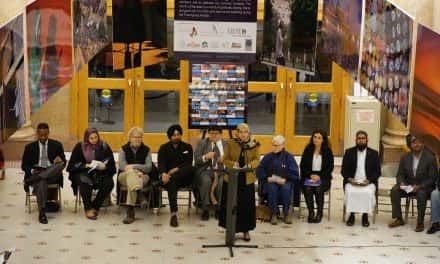 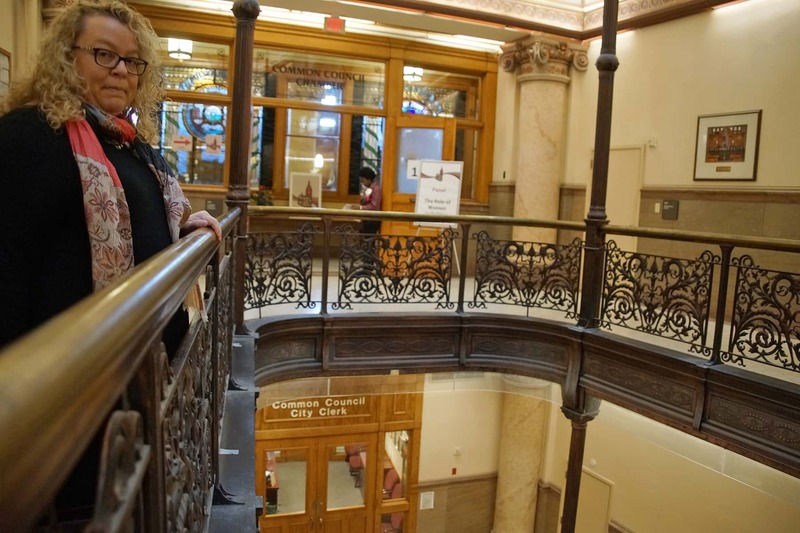 During the informational campaign from March 11 to 17, the official city website featured photos and facts about the women of Milwaukee’s history. “Milwaukee is proud to recognize the women who have shaped this city’s rich history and continue to inspire their communities. 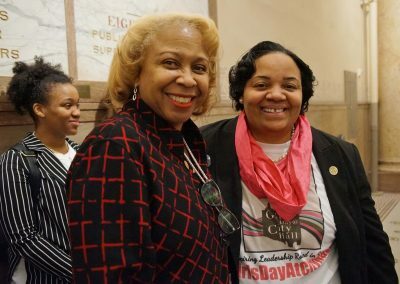 These women are innovators, leaders, and trailblazers who paved the way for future generations of women,” added Alderwoman Coggs. 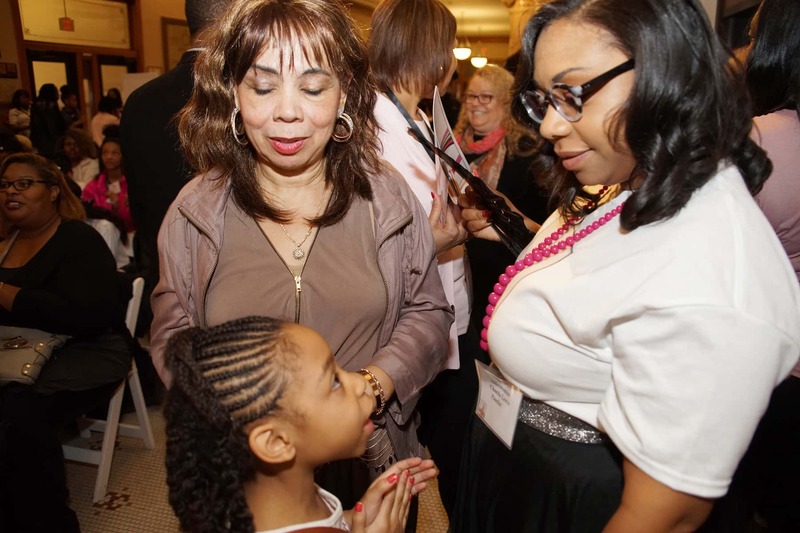 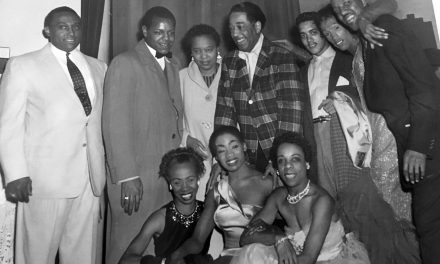 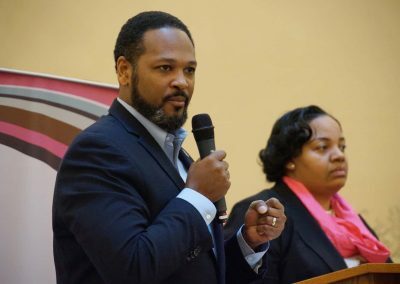 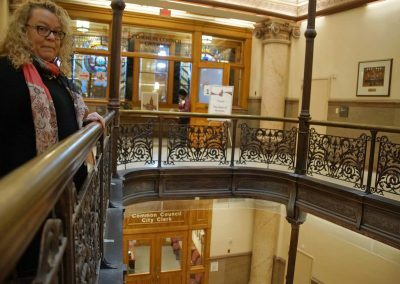 Alderwoman Coggs was the youngest woman elected to serve on Milwaukee’s Common Council. 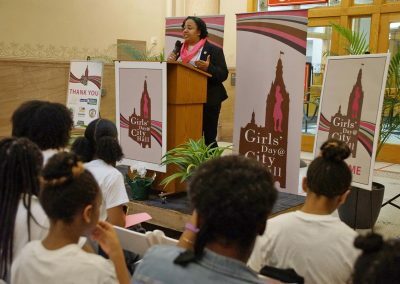 The other community nurturing programs she created and sponsors for the City of Milwaukee includes the MKE Business Now Entrepreneur Summit, Bronzeville Week, the Sixth District Landscape Awards, the Dr. James G. White Difference Maker Awards, the Housing Resource Fair, AKA Day at City Hall, Office Hours In the District, Girls’ Shadow Day at City Hall, and the Freedom Essay Scholarship Contest. 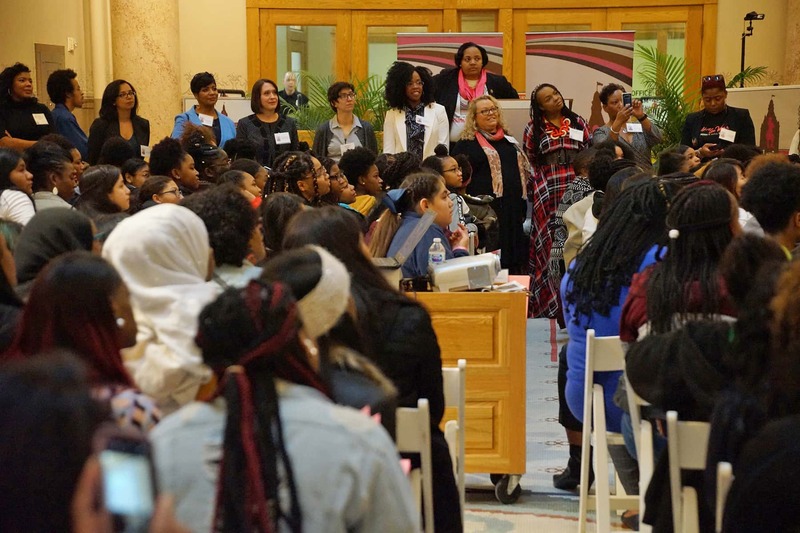 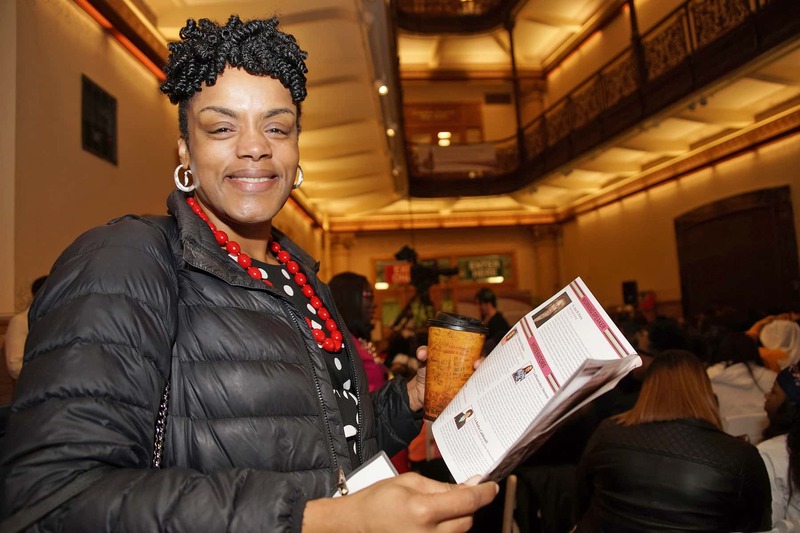 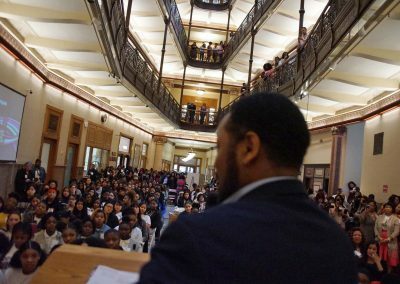 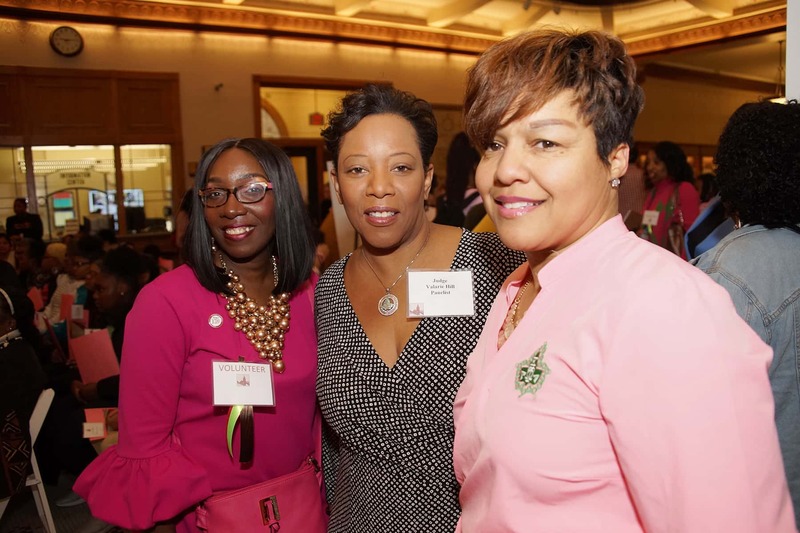 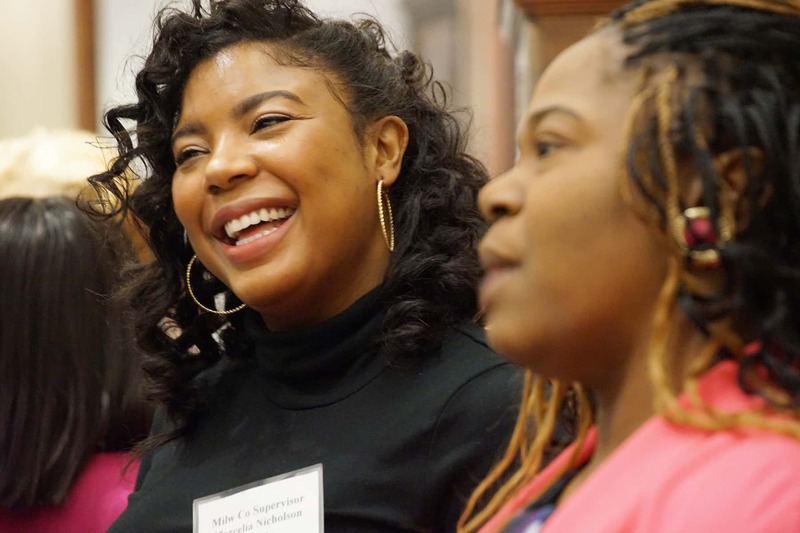 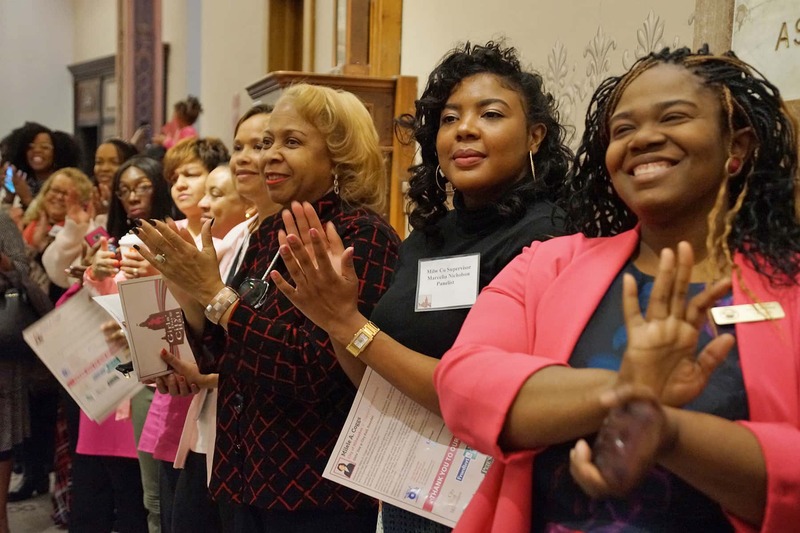 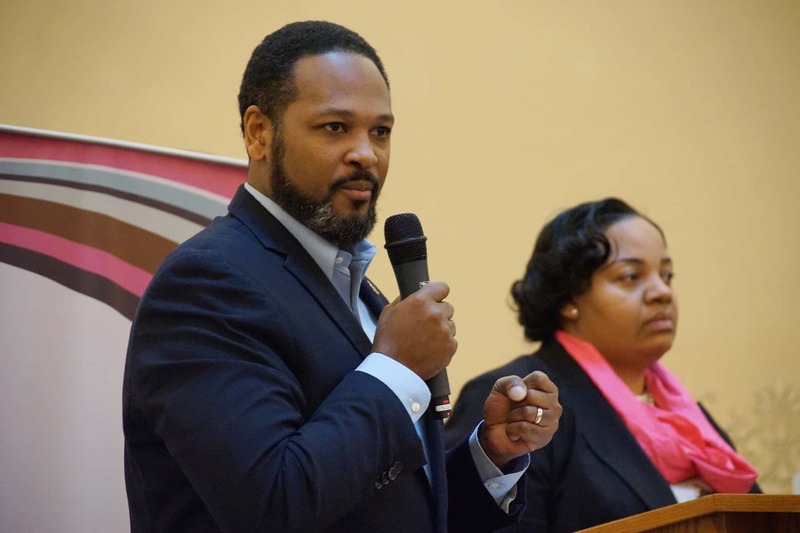 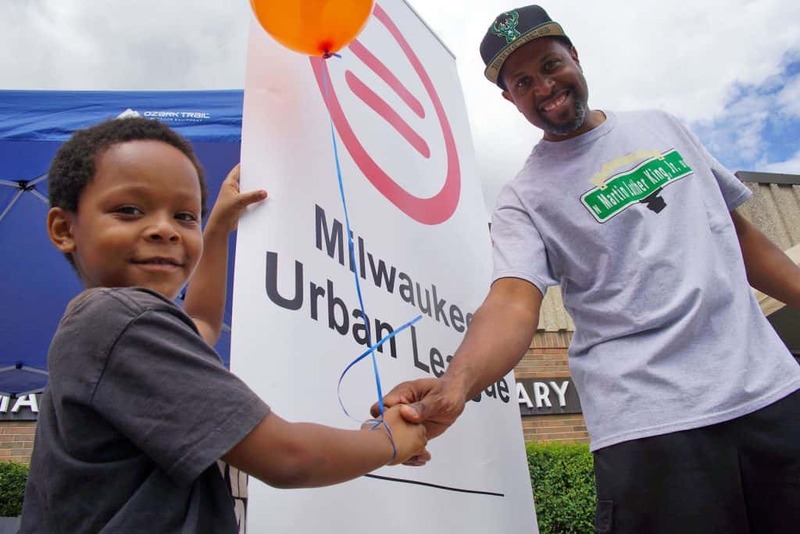 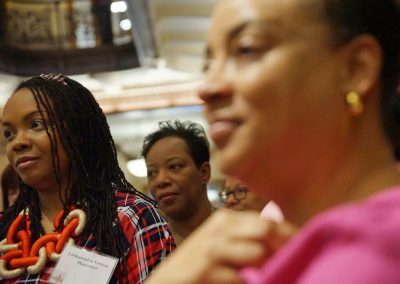 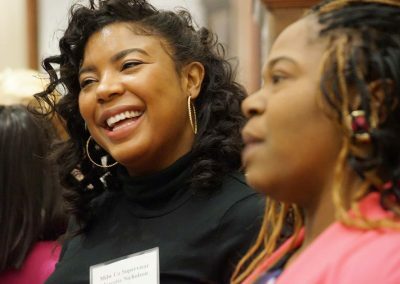 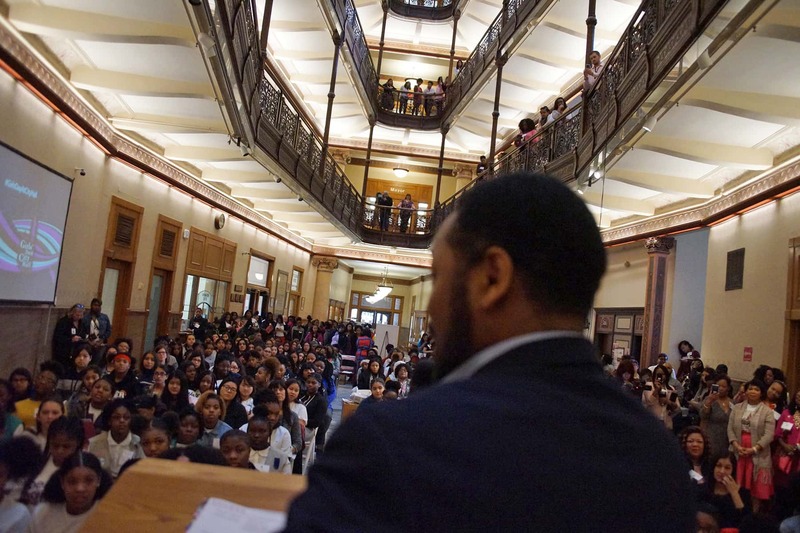 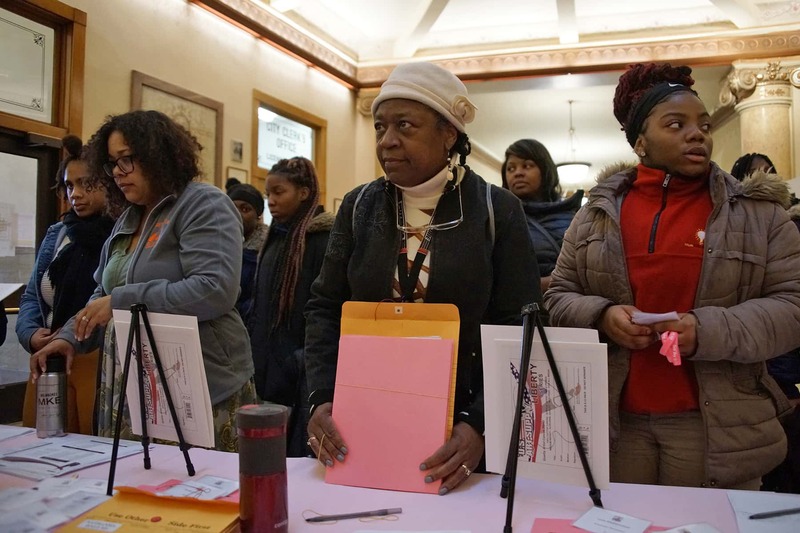 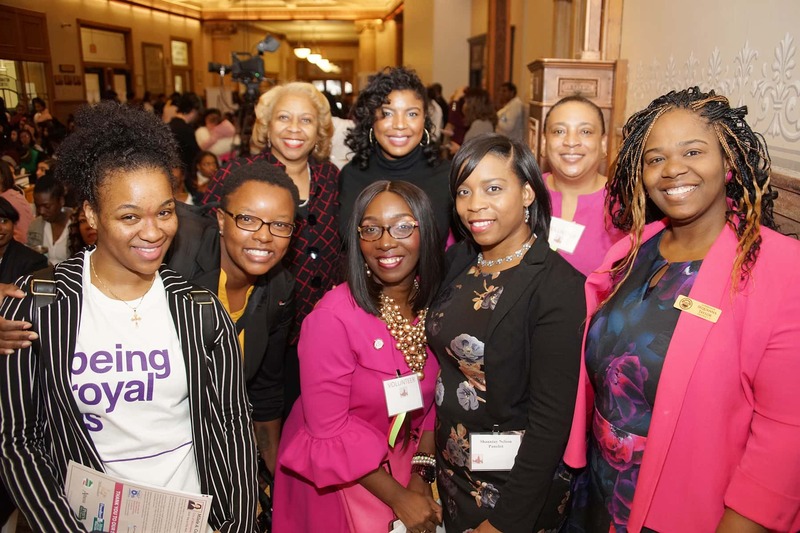 These images feature highlights from the morning program that celebrated a generation of amazing women, to inspire young Milwaukee students and educate them about how to make impactful contributions to the community.